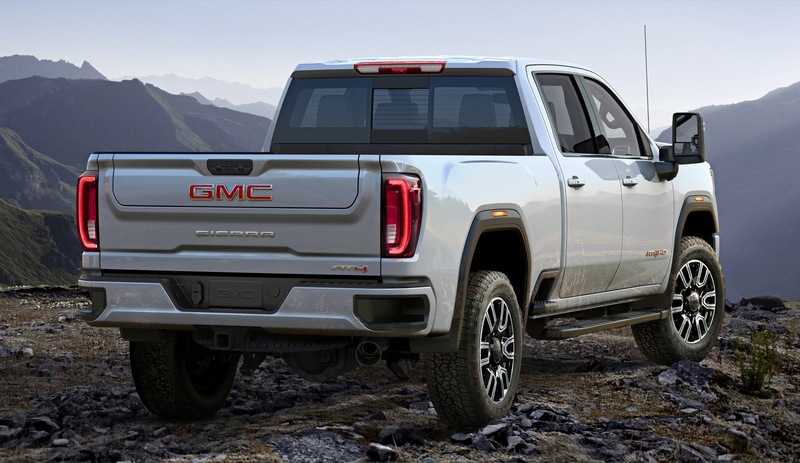 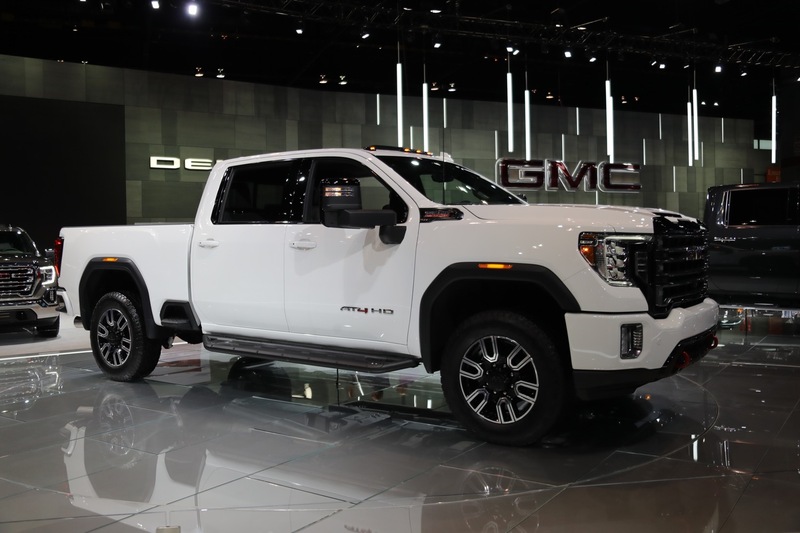 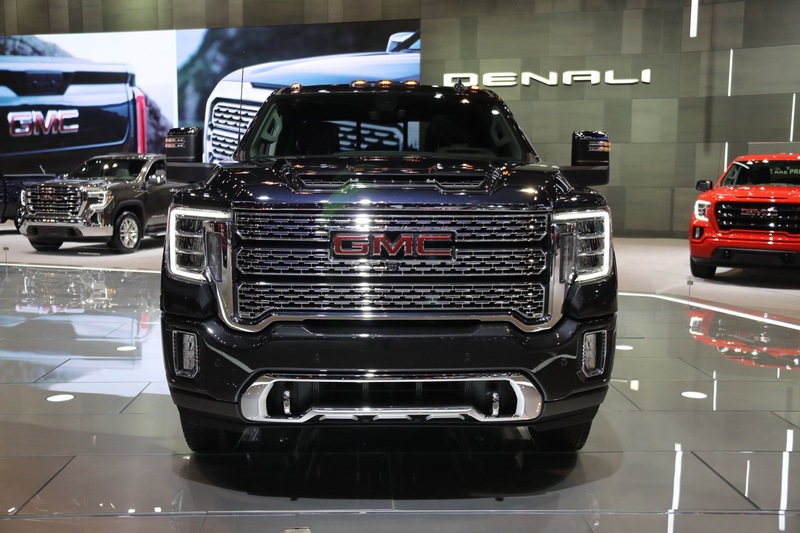 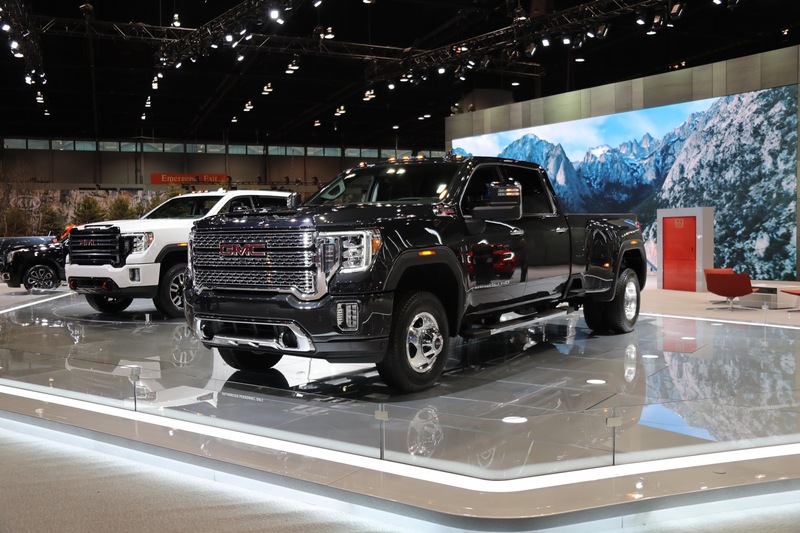 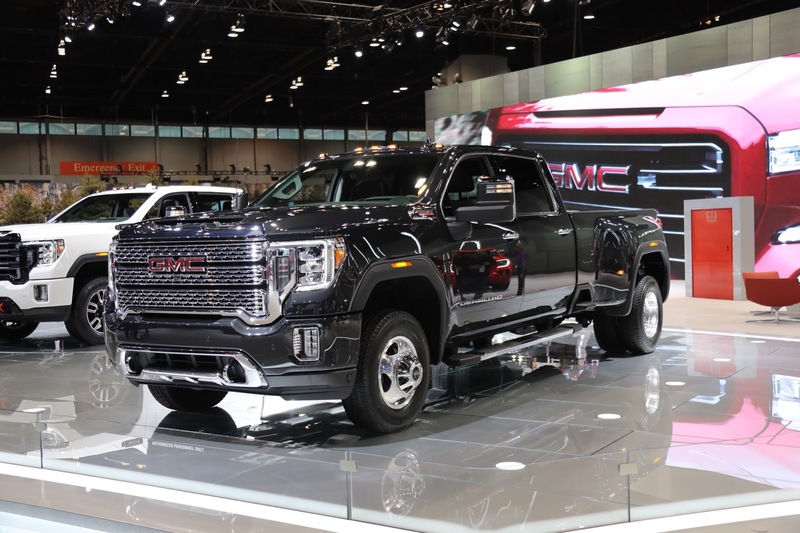 Last week, GMC officially introduced the all-new 2020 Sierra HD at a media event in San Diego, California. 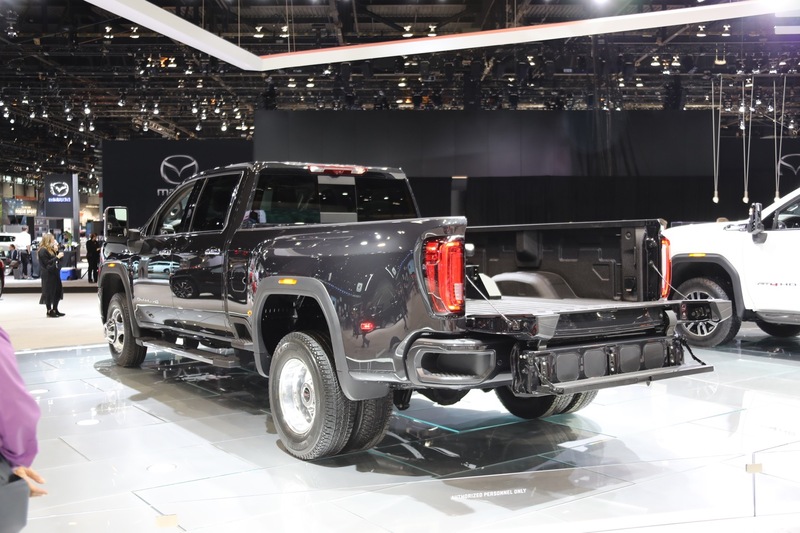 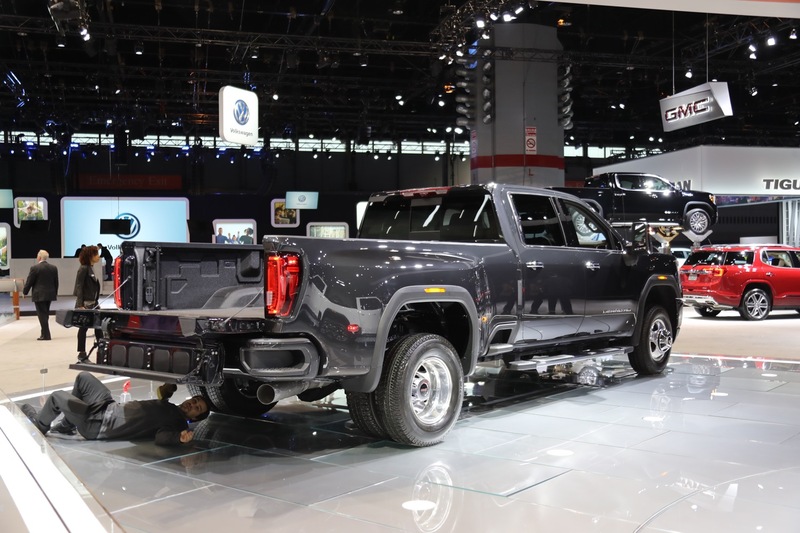 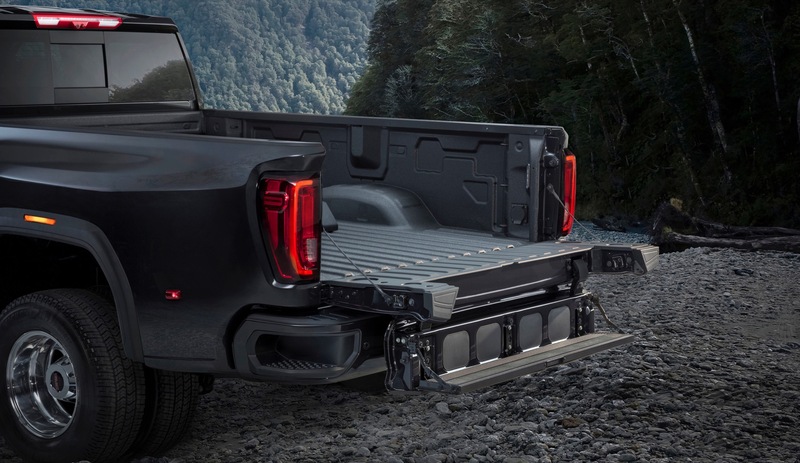 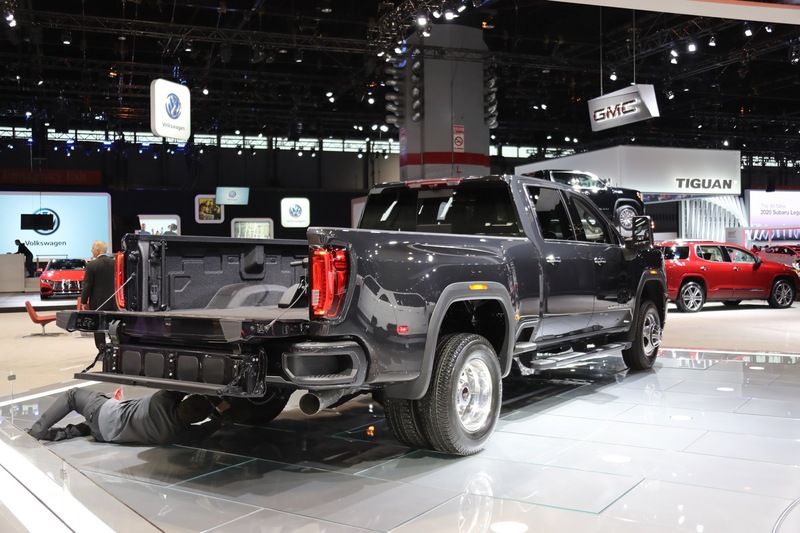 Apart from its bold appearance, the 2020 Sierra HD is deemed the most capable heavy-duty truck the brand has ever offered. 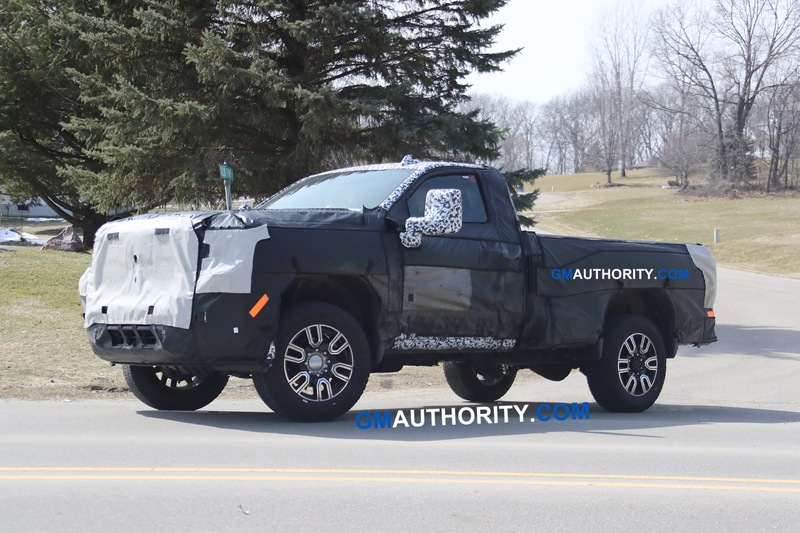 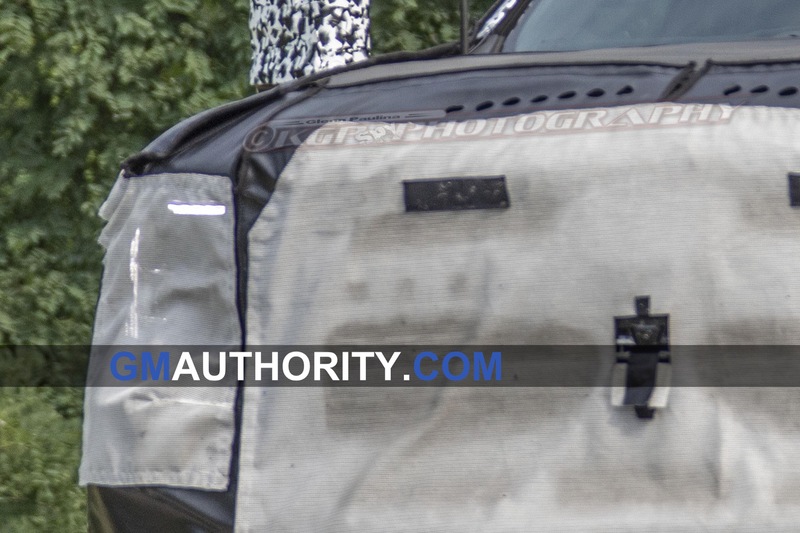 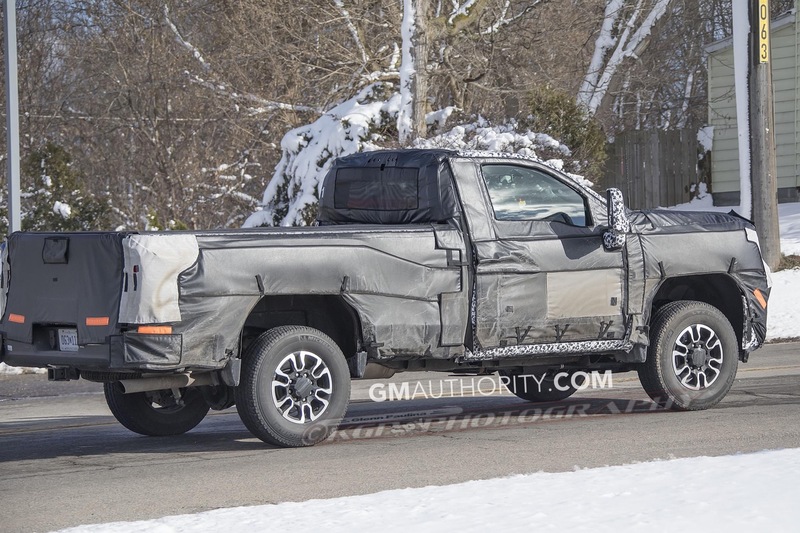 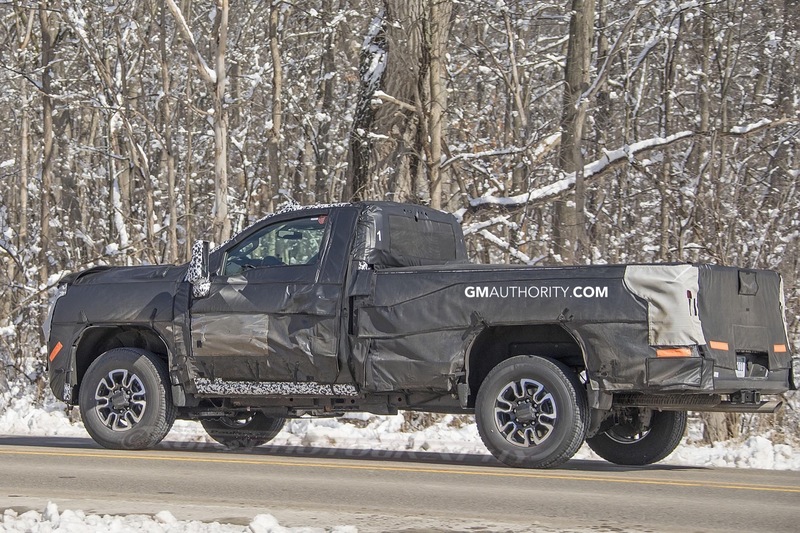 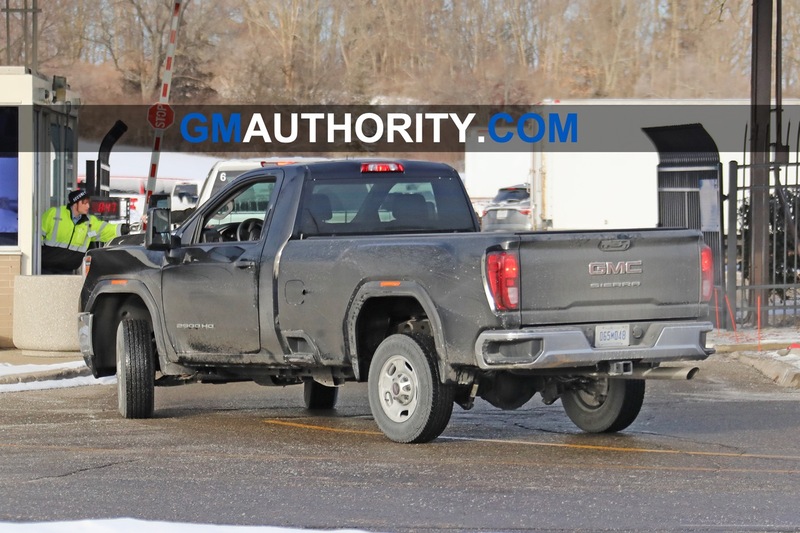 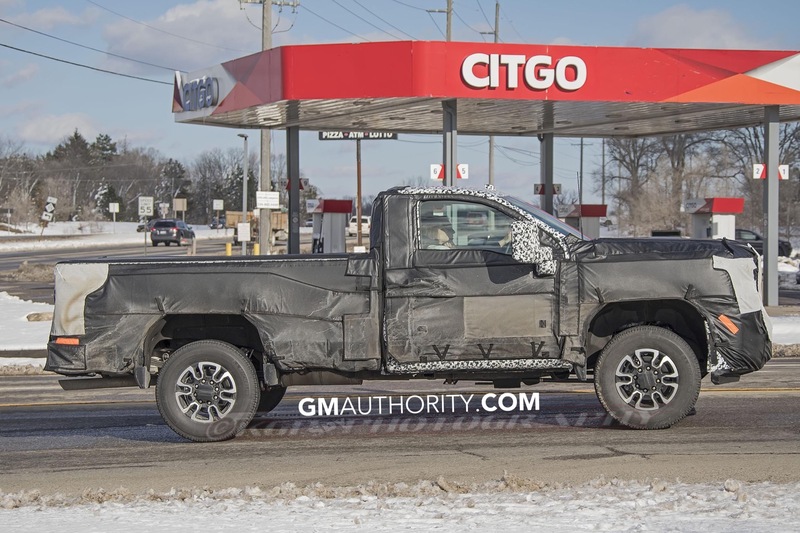 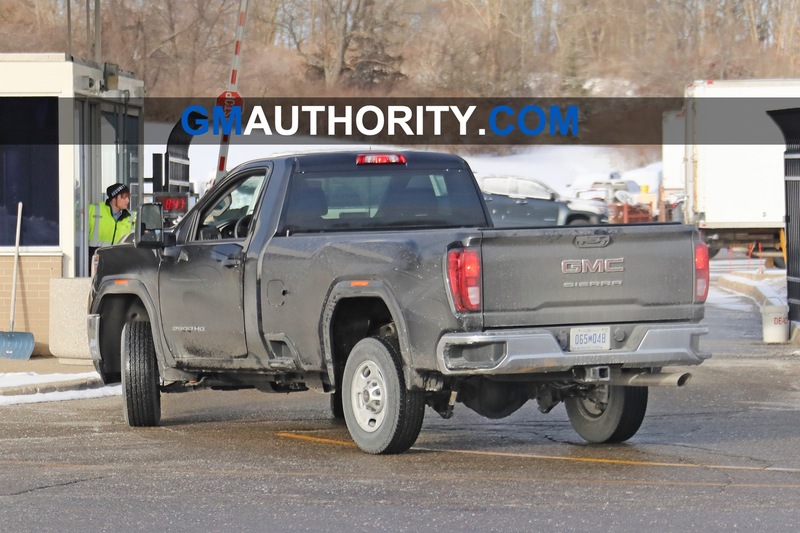 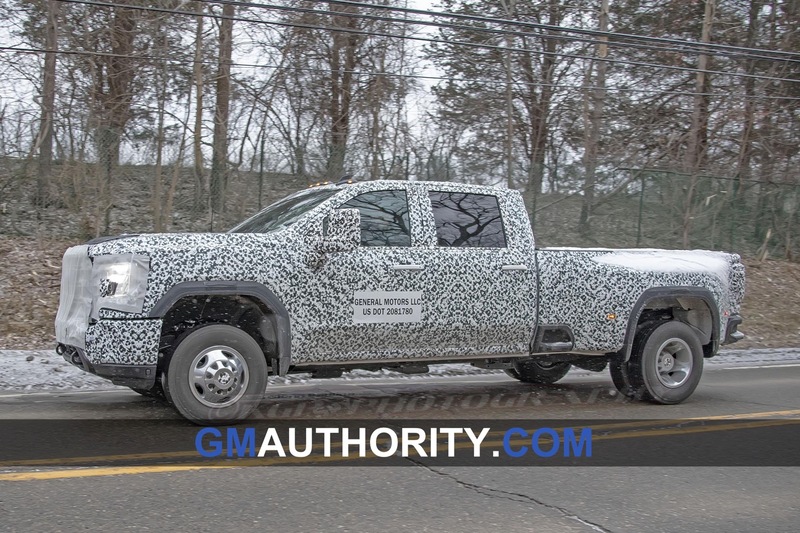 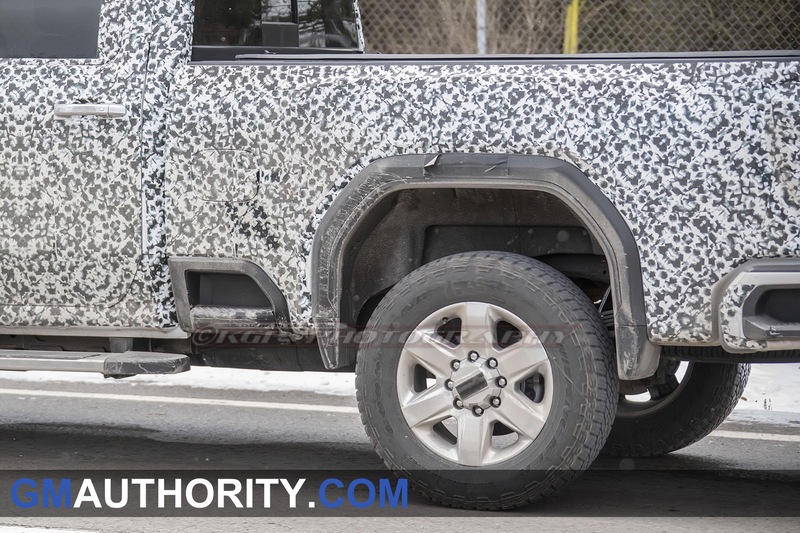 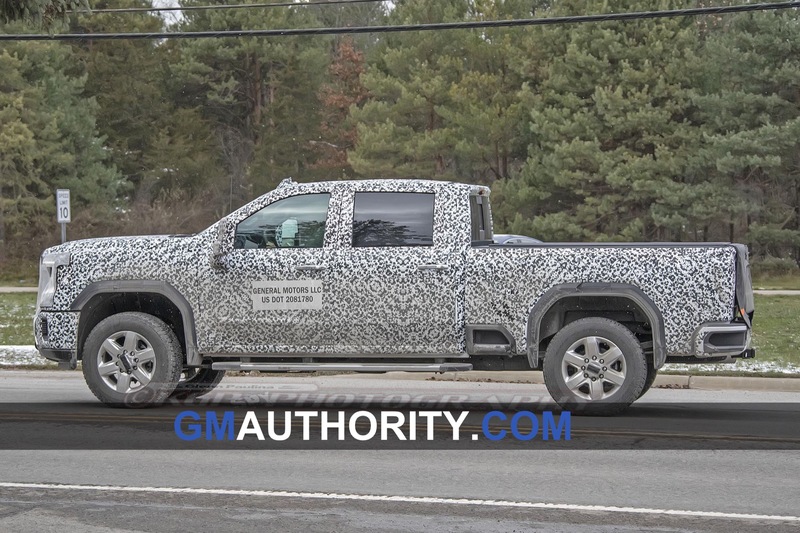 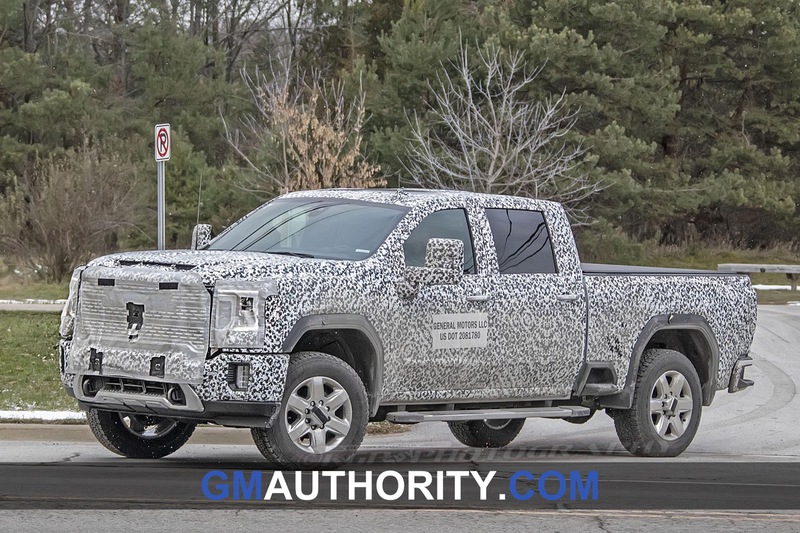 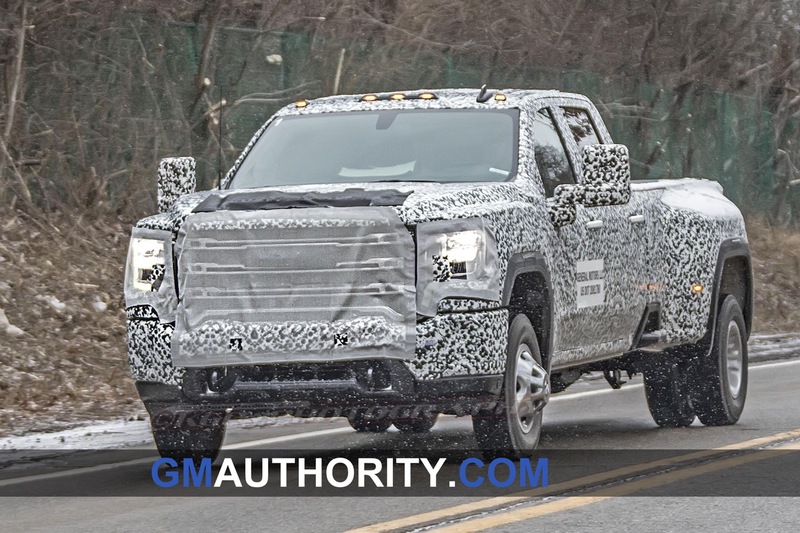 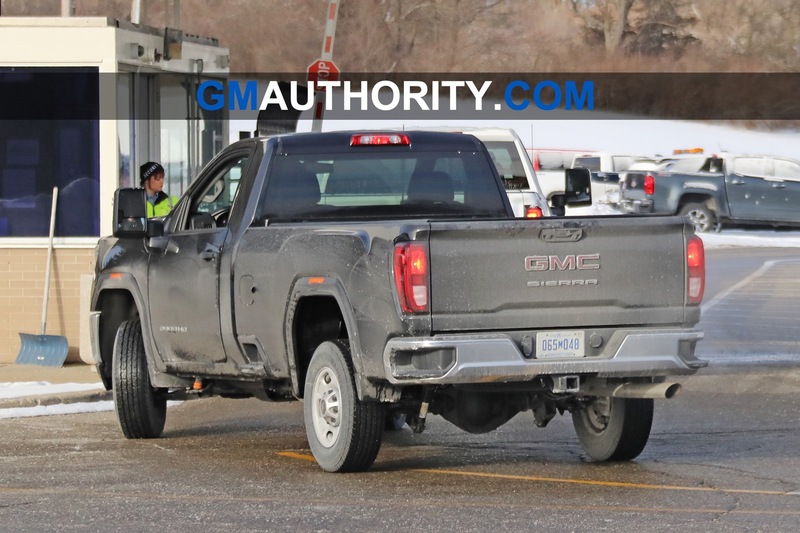 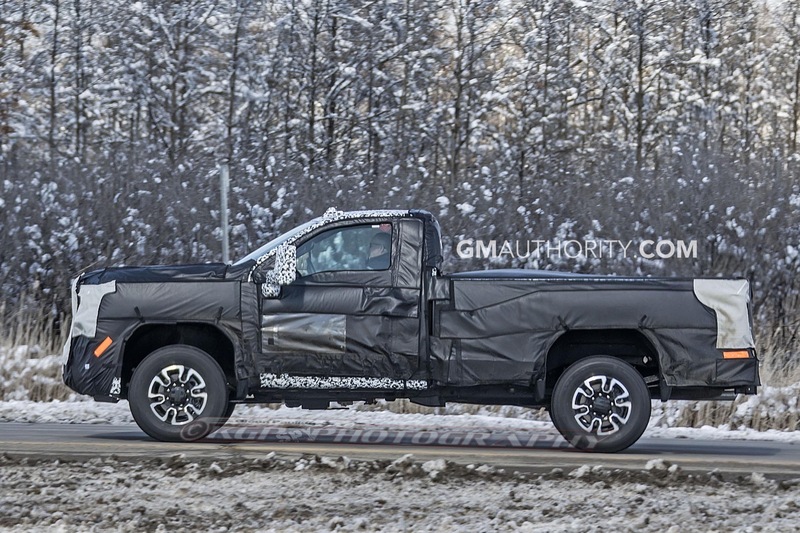 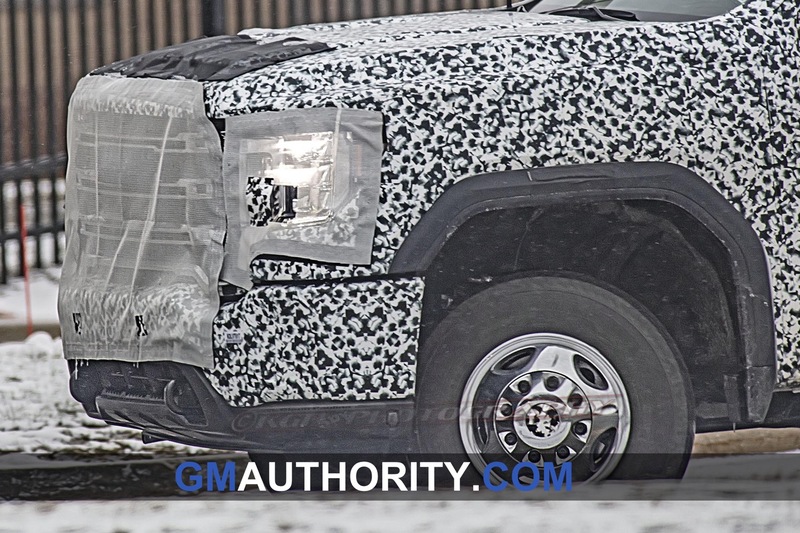 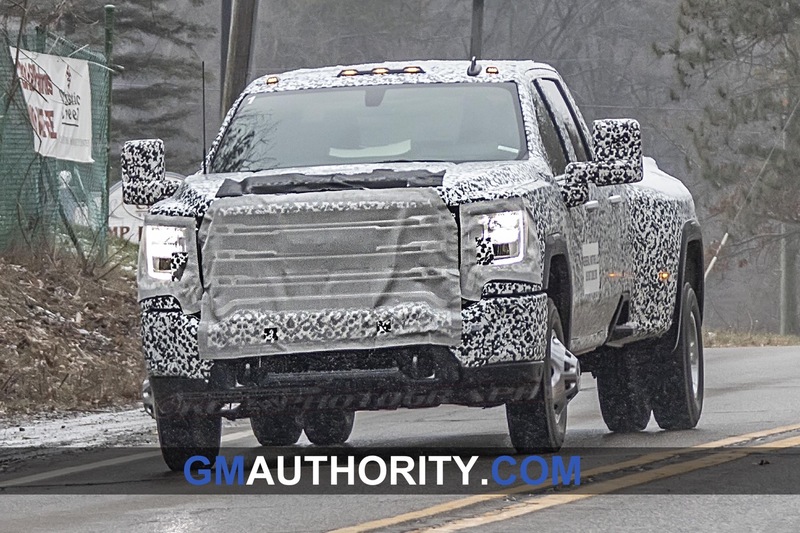 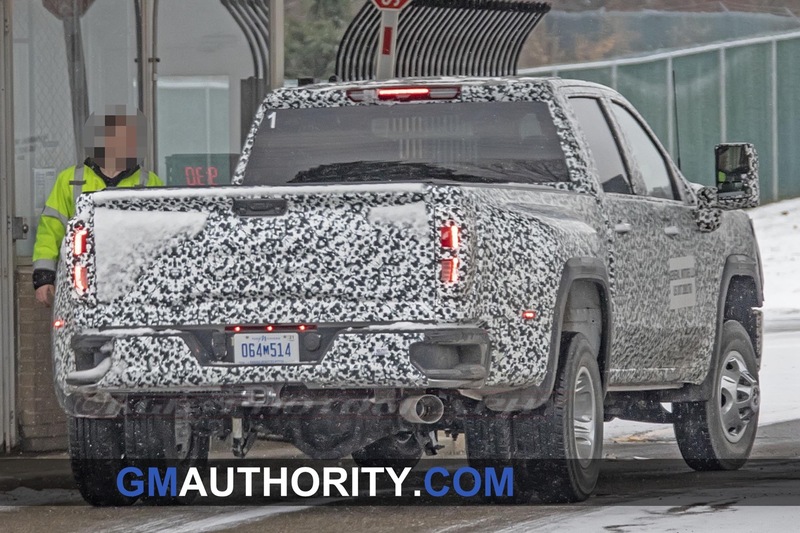 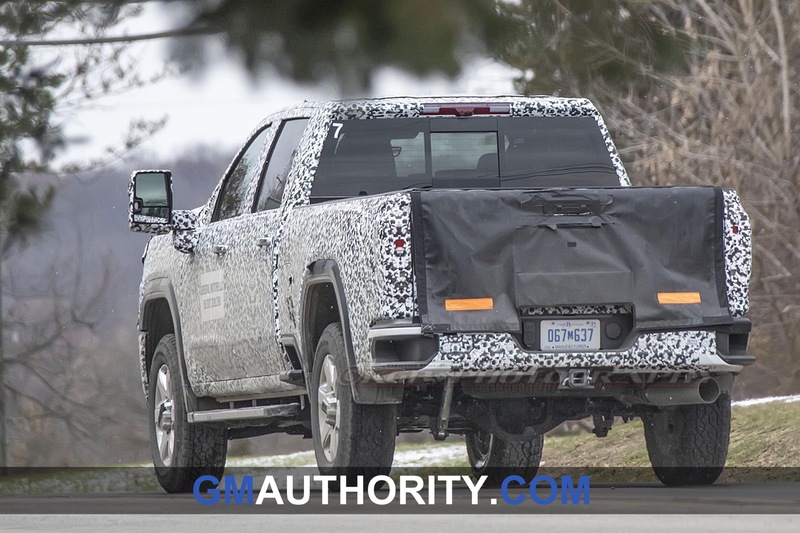 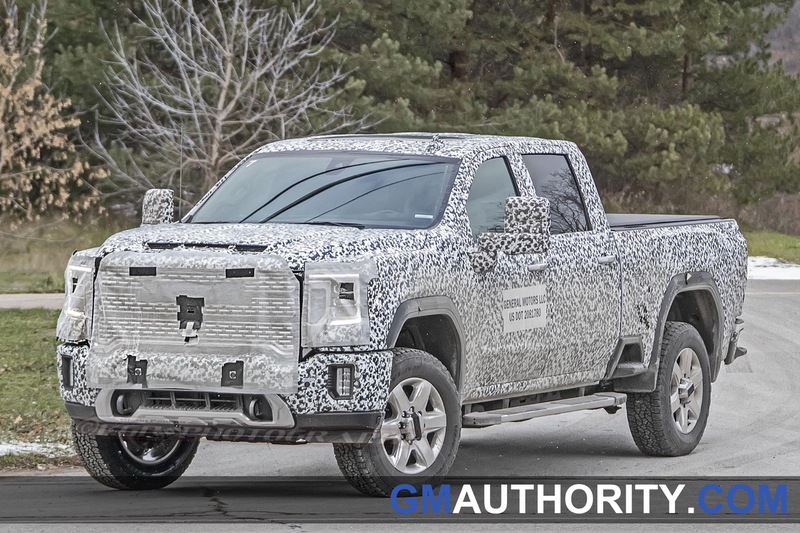 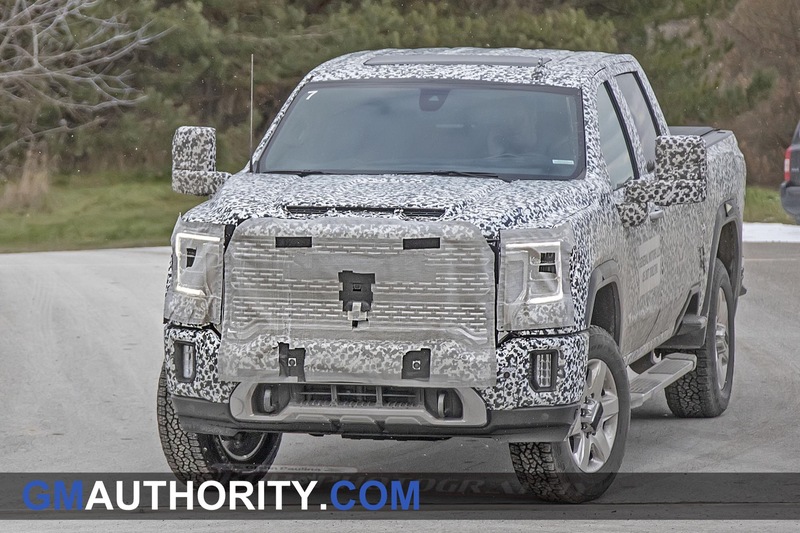 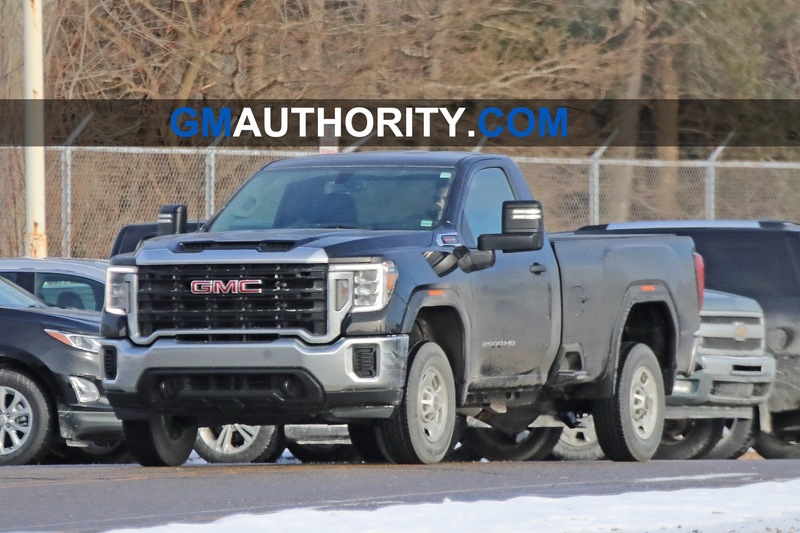 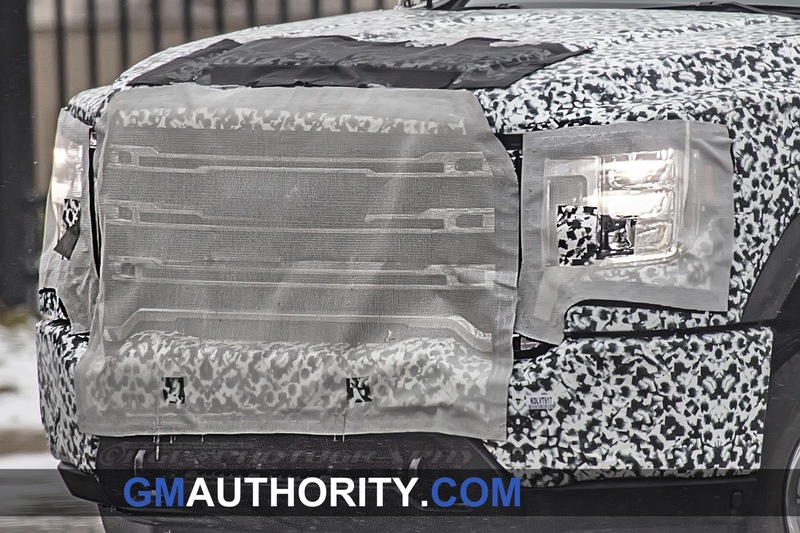 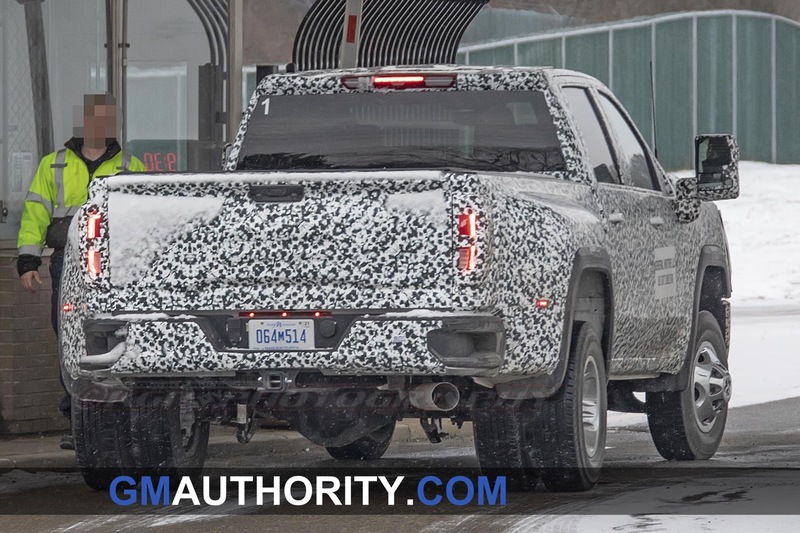 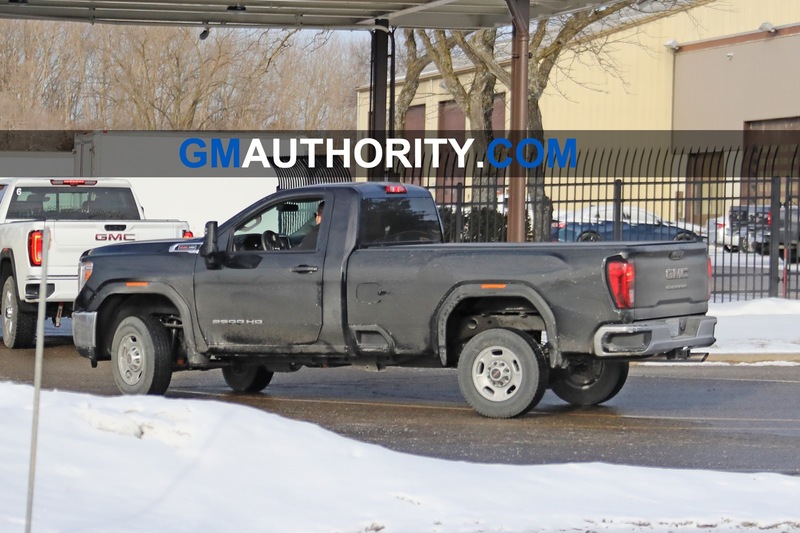 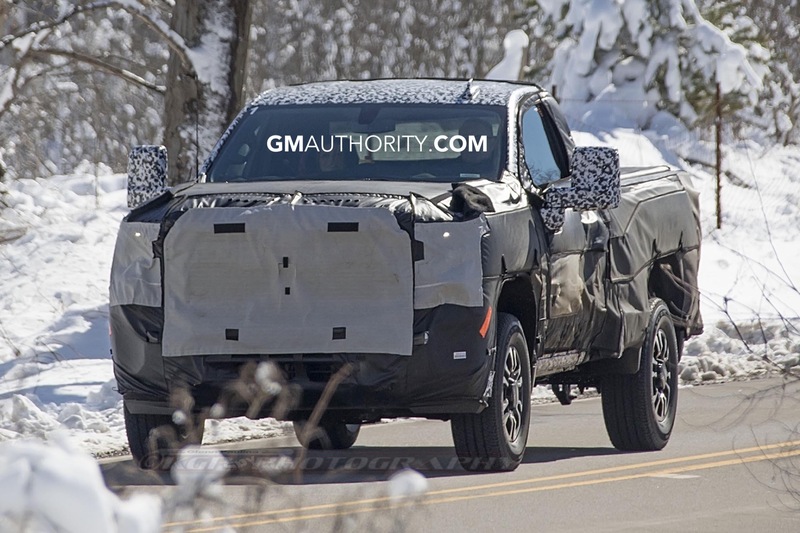 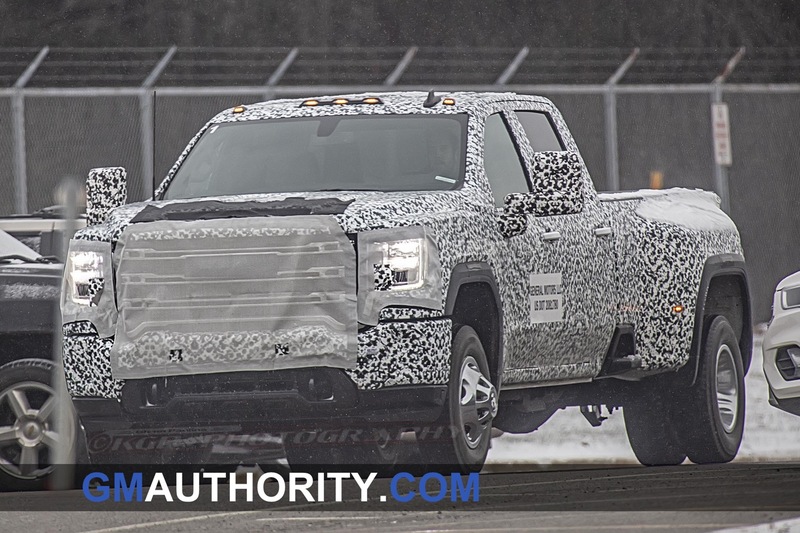 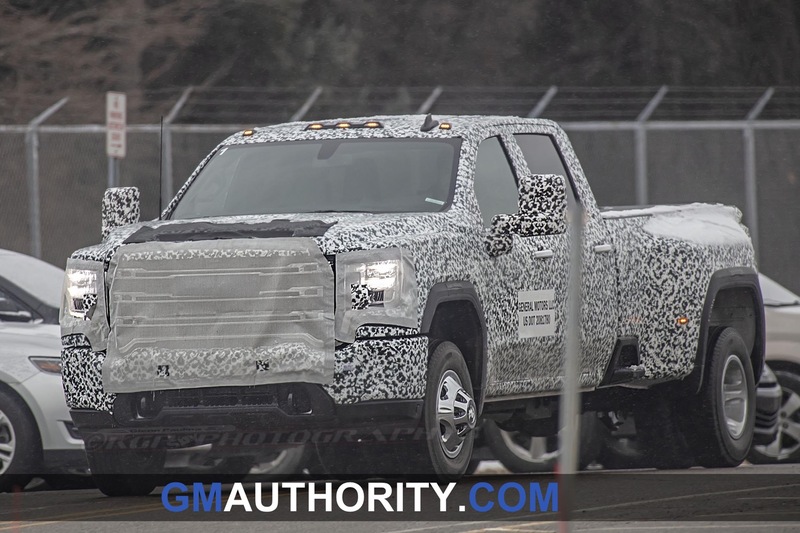 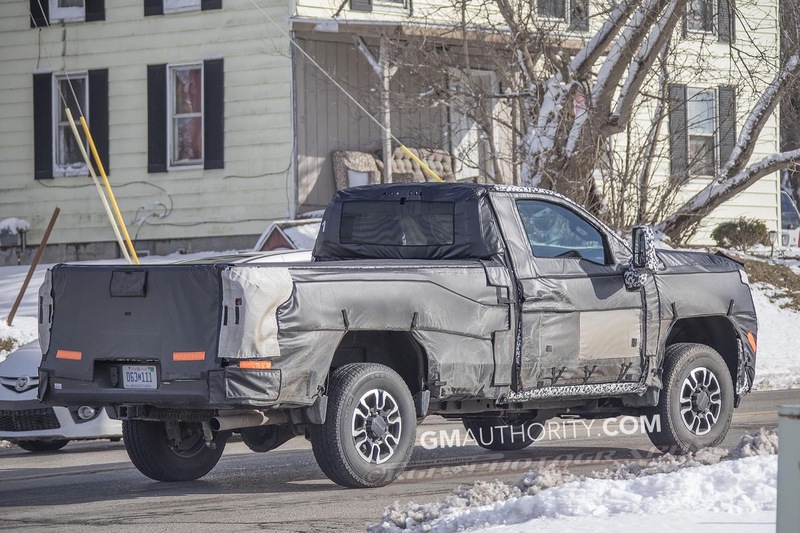 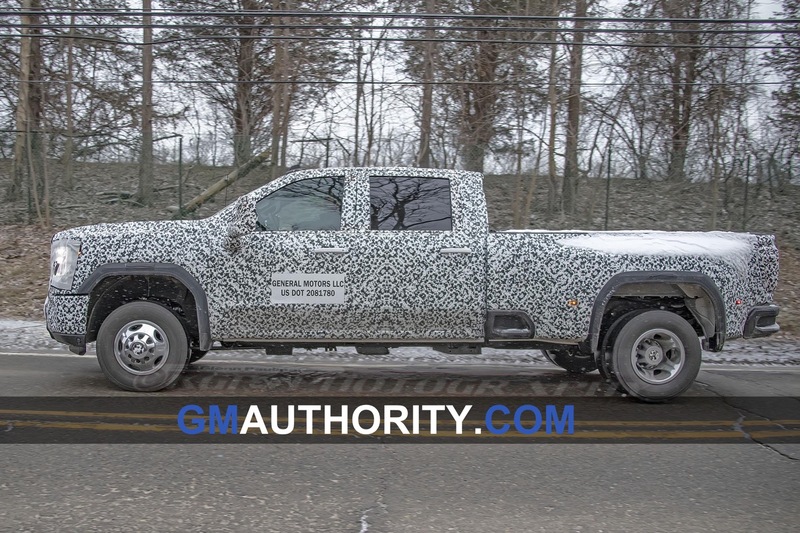 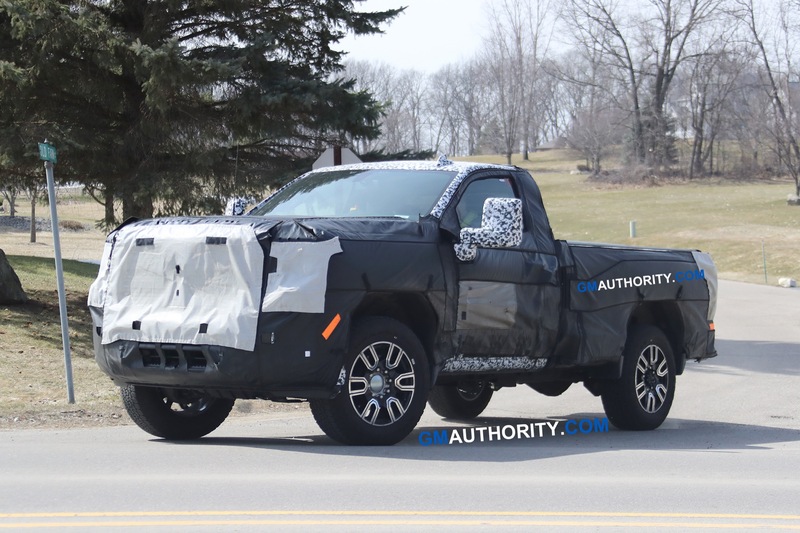 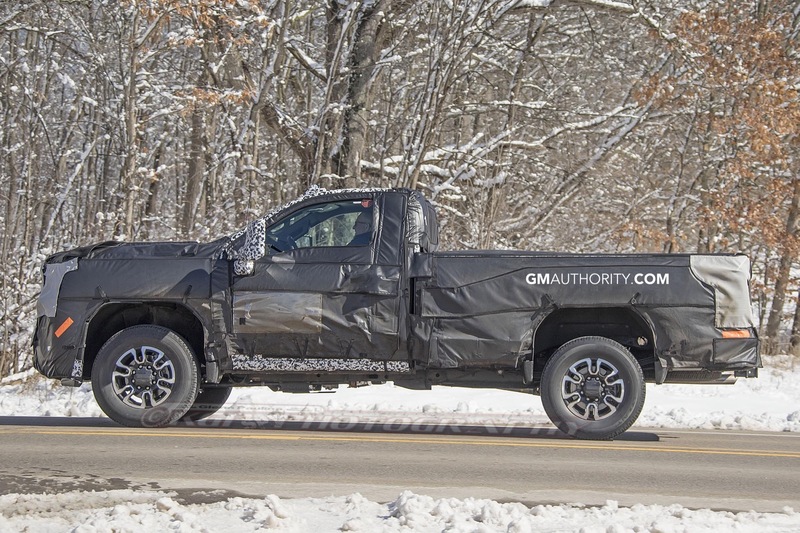 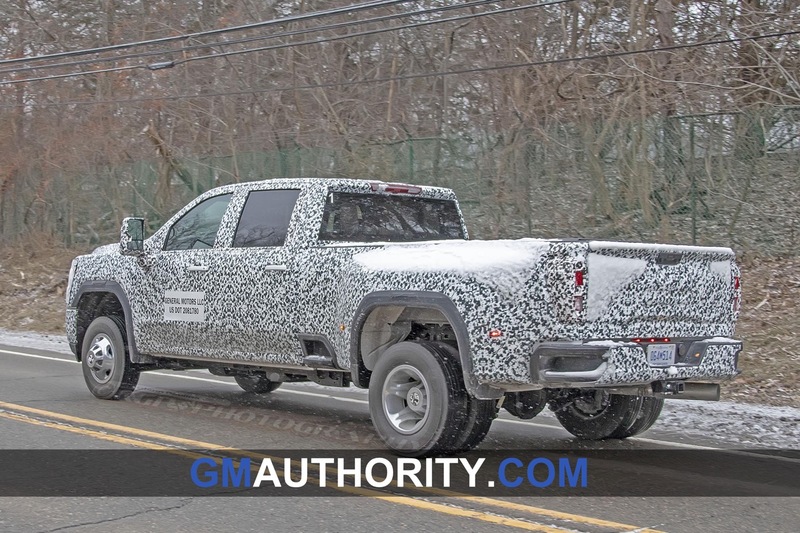 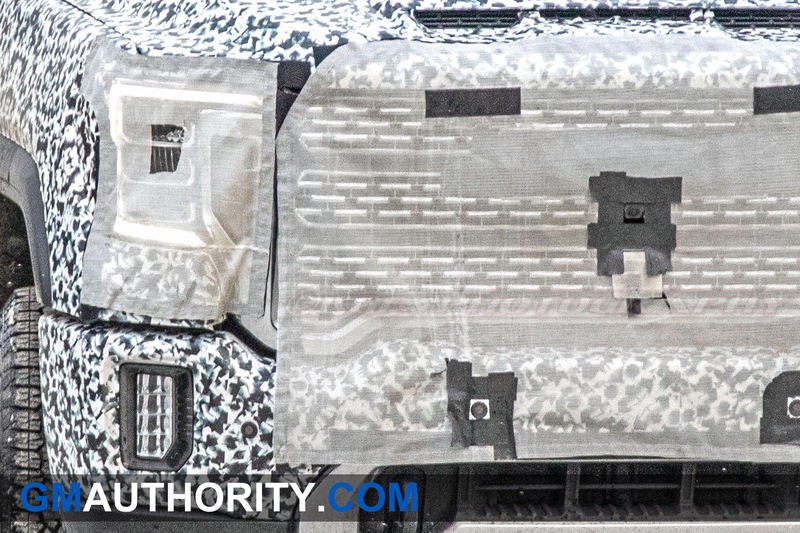 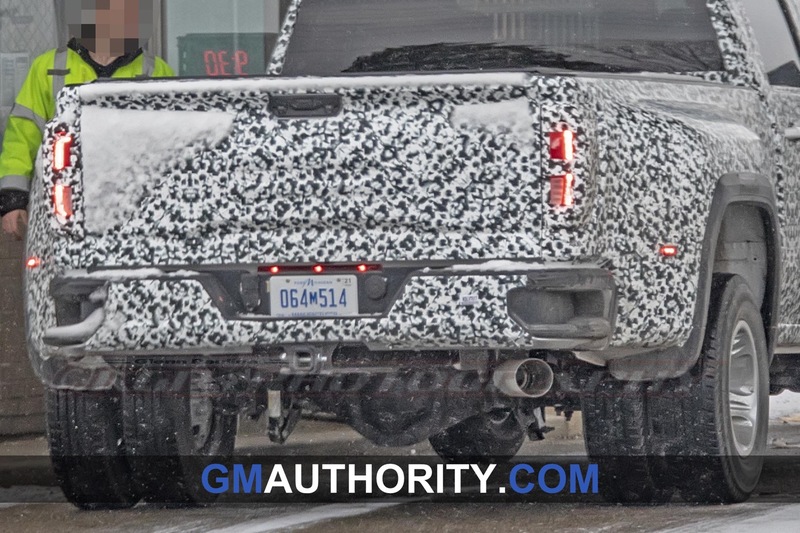 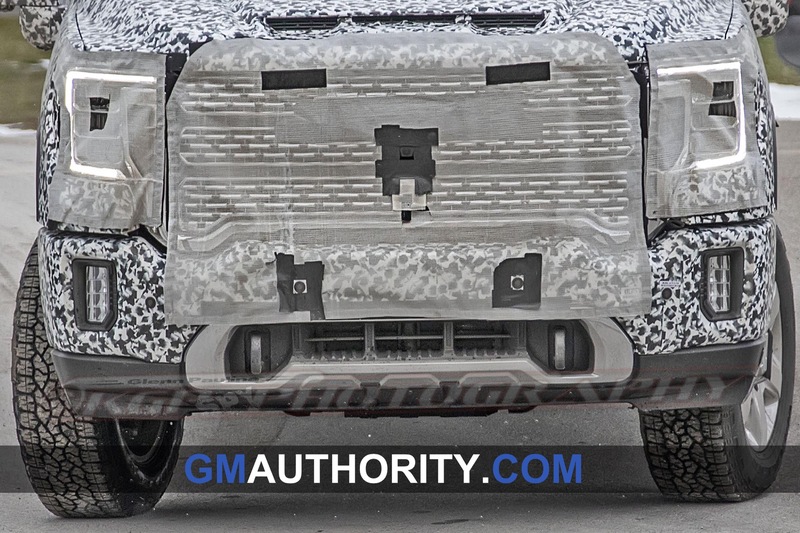 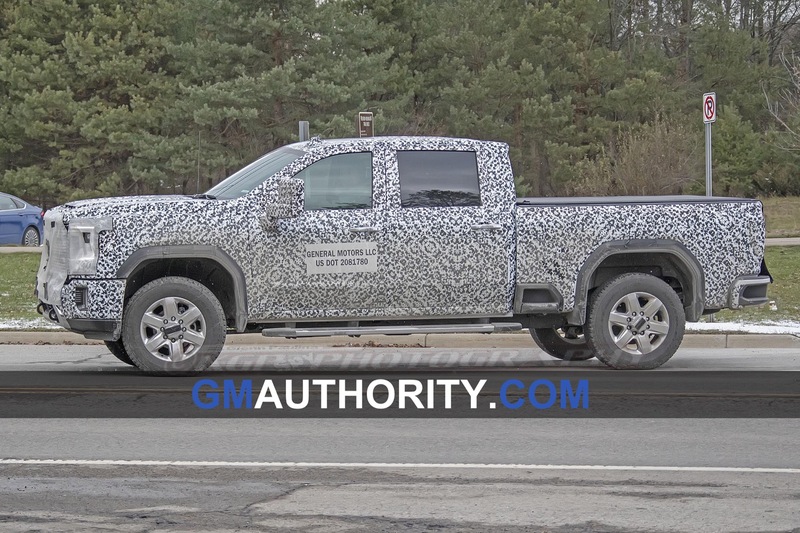 Now, a new video clip shows how GMC revealed the 2020 Sierra HD in all its strength and glory, in a huge shipyard no less. 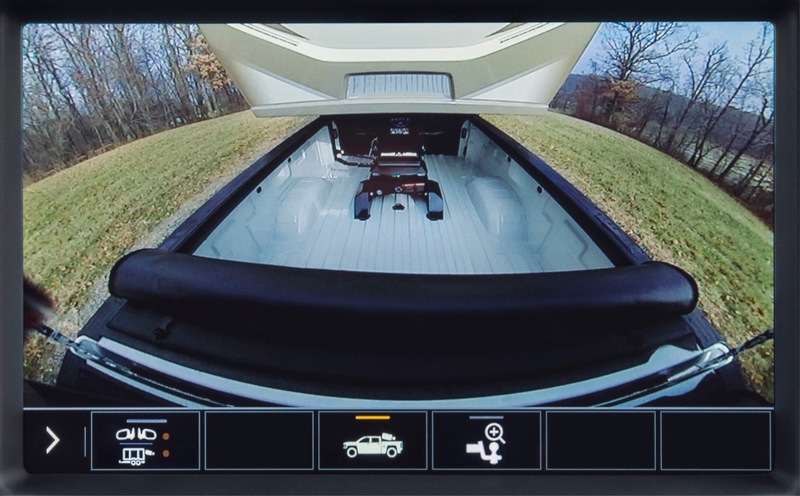 The video introduces the all-new 2020 Sierra HD to the world by giving it the dramatic entrance it deserves – towing a dry boat dock and boat weighing a wicked amount. 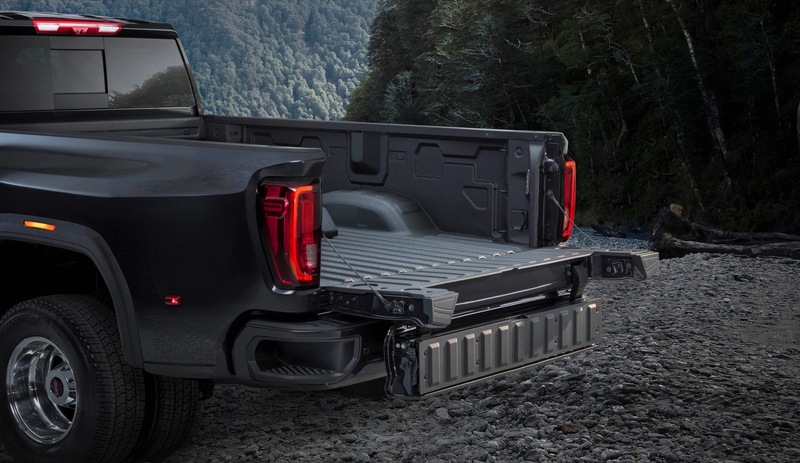 Four straps help secure the fishing boat to the massive mobile dock that was towed by the fully-loaded GMC Sierra Denali 3500HD. 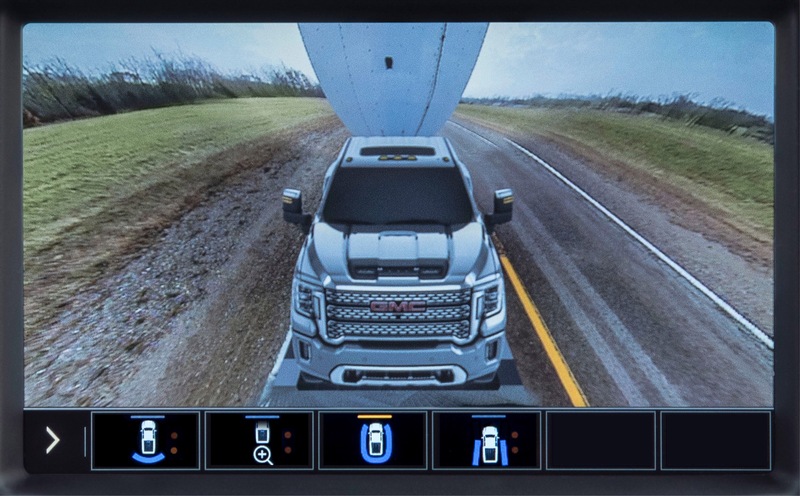 The dramatic soundtrack behind all the action definitely fits the part, and feels like it simply belongs with the truck and the video footage. 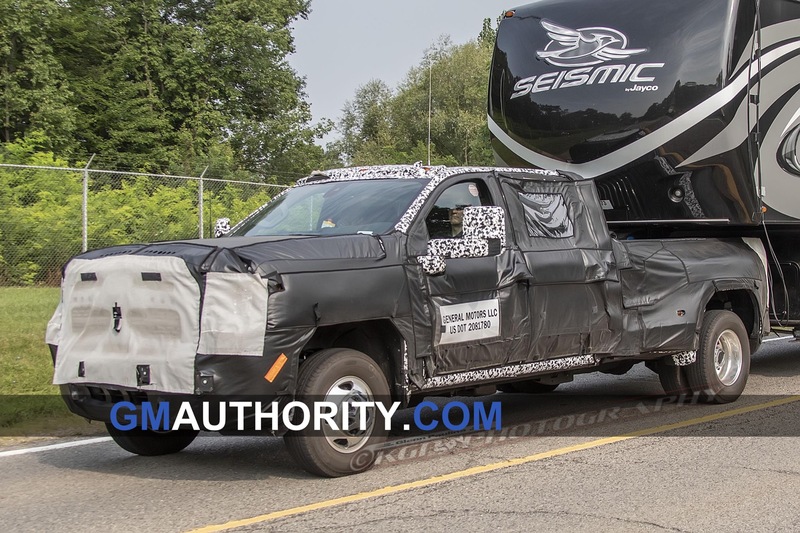 The reveal took place and was filmed at Marine Group Boat Works, LLC in San Diego. 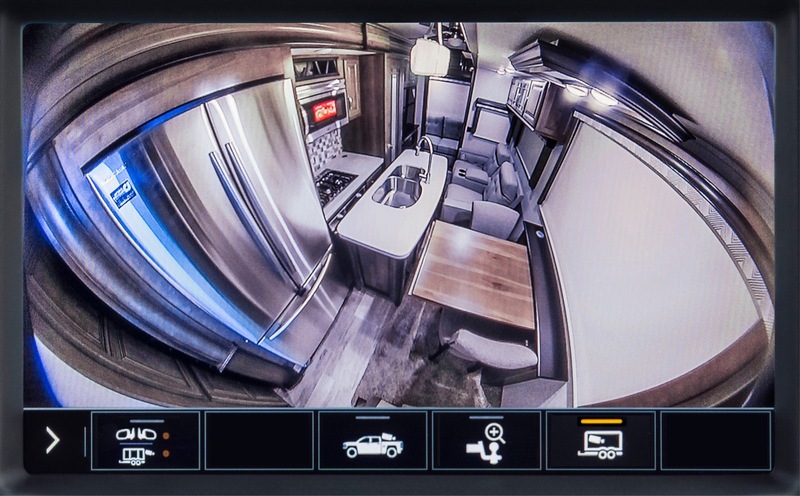 Occupying more than 15 acres of land and water, the family-owned, full-service boat and super yacht facility specializes in refitting, repairing, and constructing boats up to 220 feet in length. 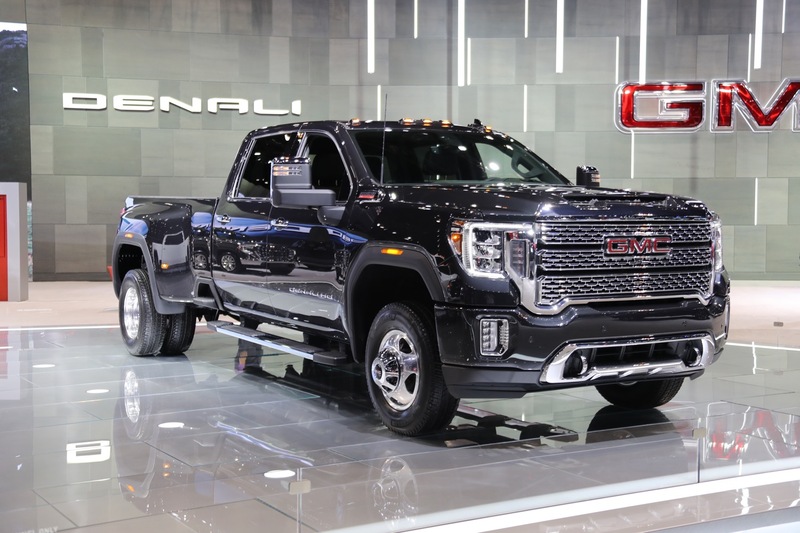 It’s only fitting that a heavy-duty truck such as the all-new 2020 Sierra HD be captured in such a premiere venue to show off its towing capabilities and enormous footprint, along with drawing the correlation between GMC’s premium image and the lavish lifestyle afforded to owners of luxury yachts. 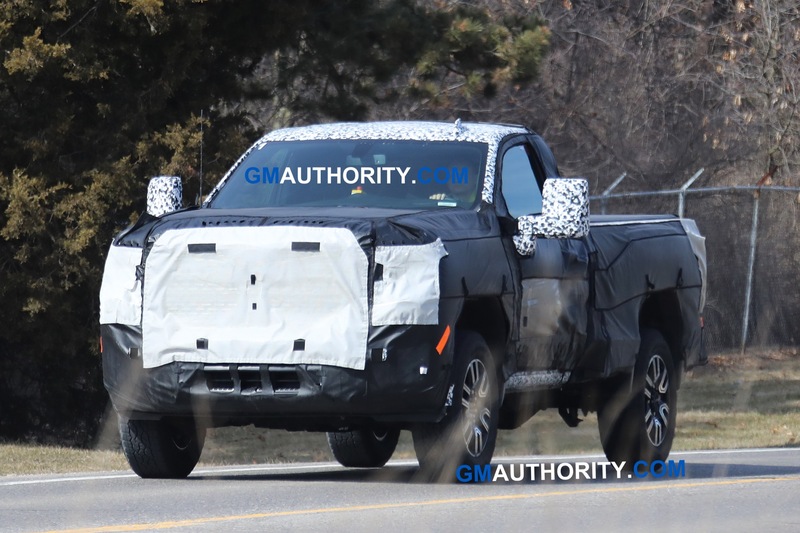 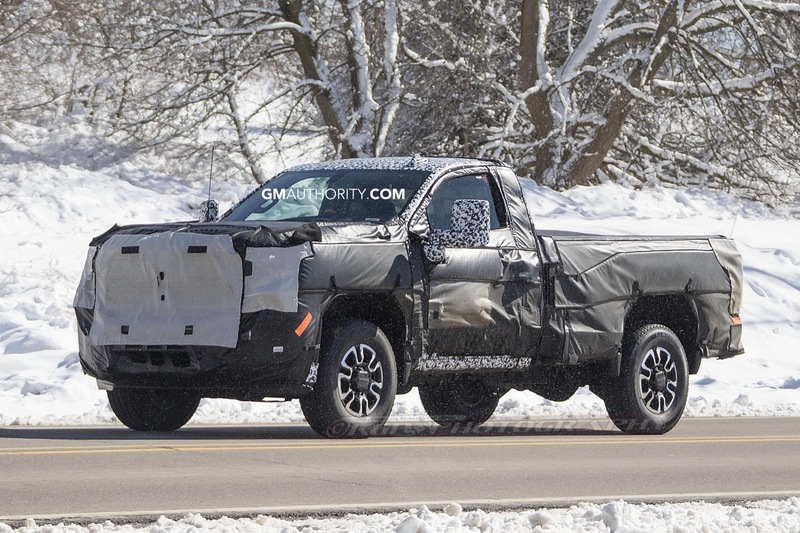 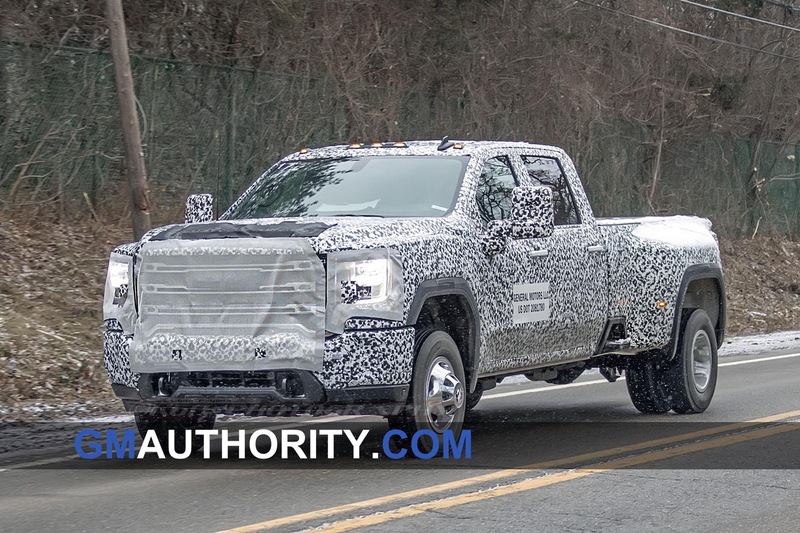 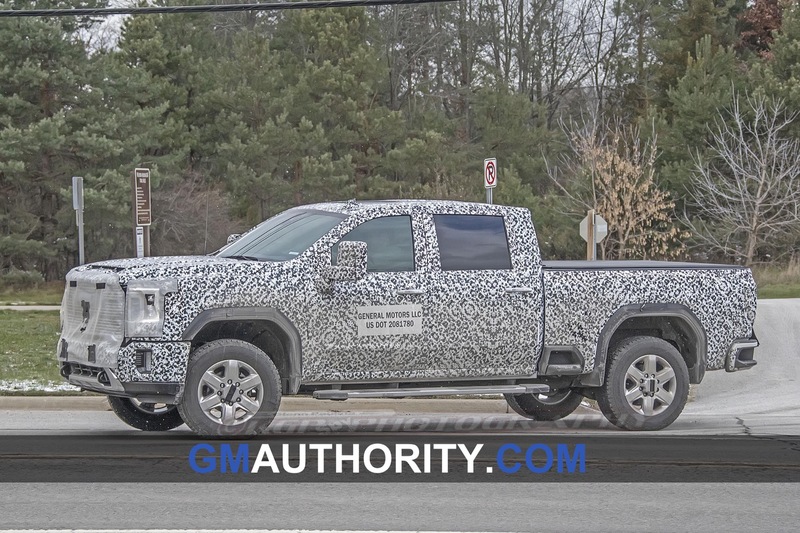 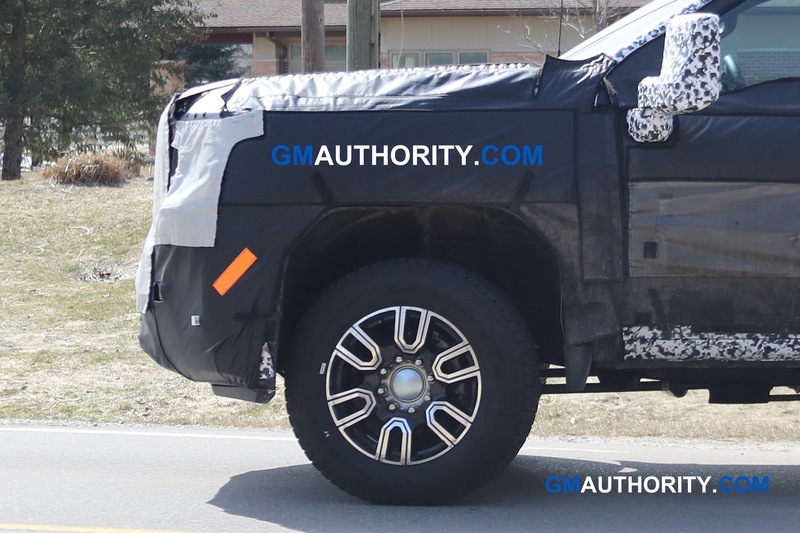 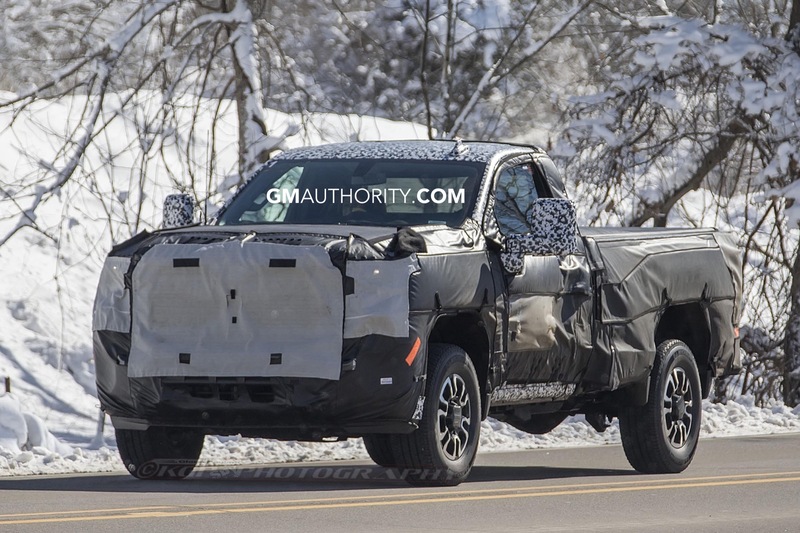 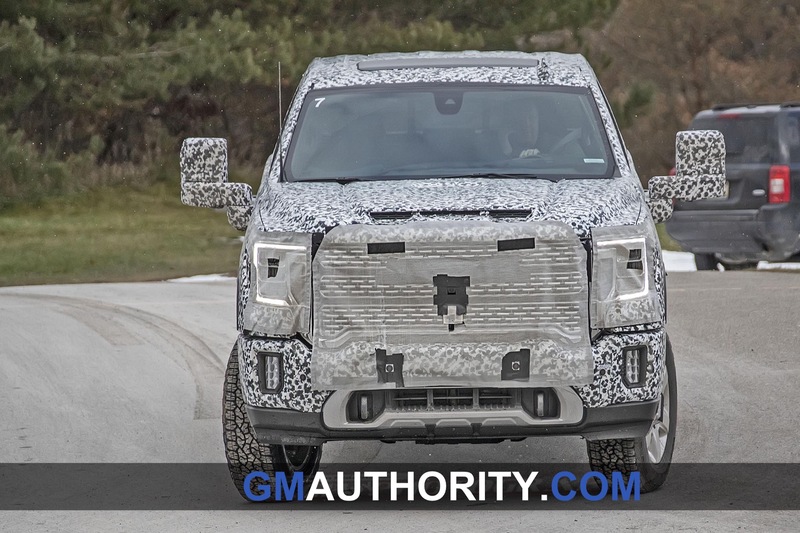 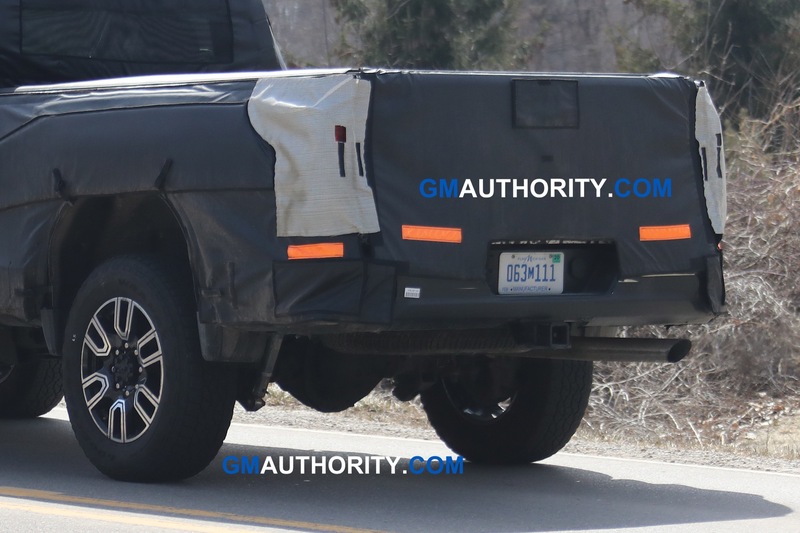 GMC’s 2020 Sierra HD is bigger and stronger than ever before. 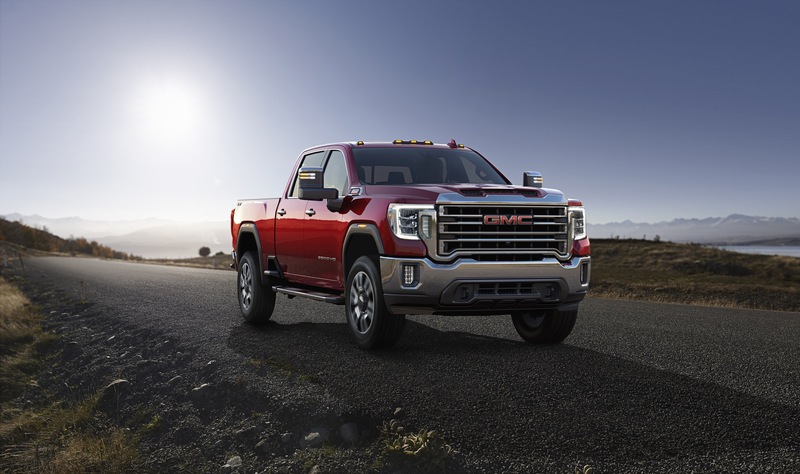 The all-new Heavy Duty truck, offered in three quarter ton 2500HD and one-ton 3500HD models, boasts greater trailering capability with advanced technologies designed to give customers a towing experience like never before. 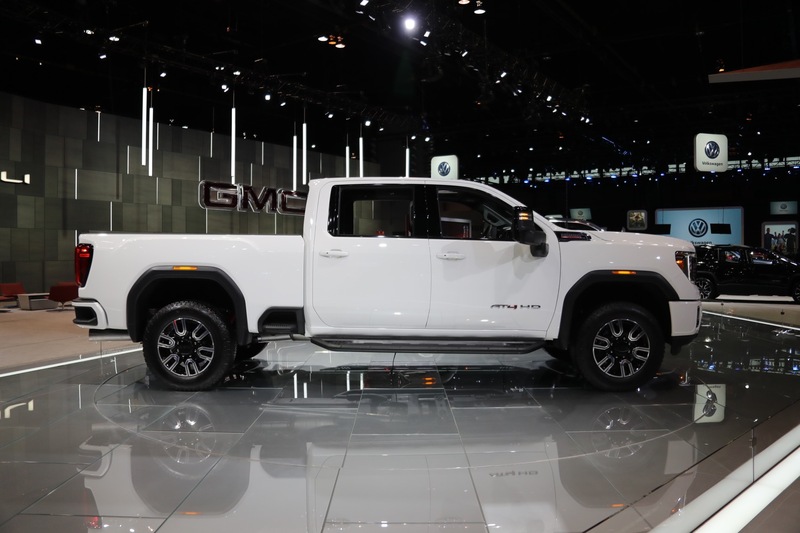 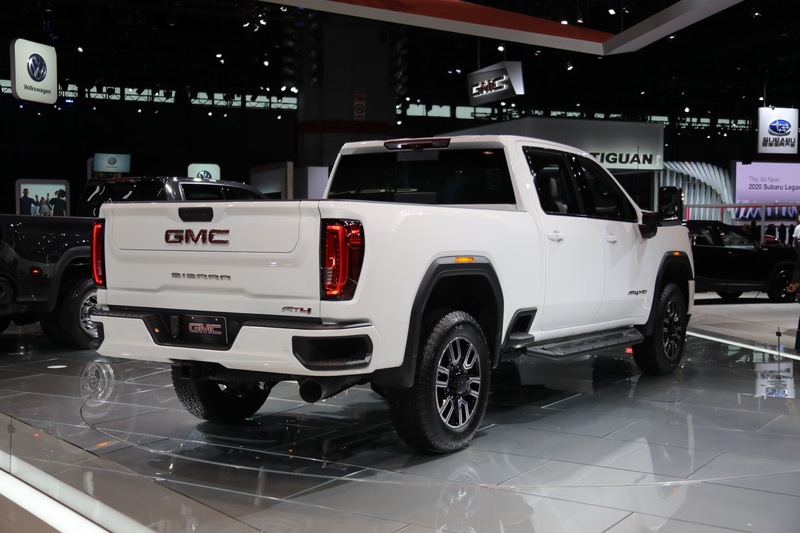 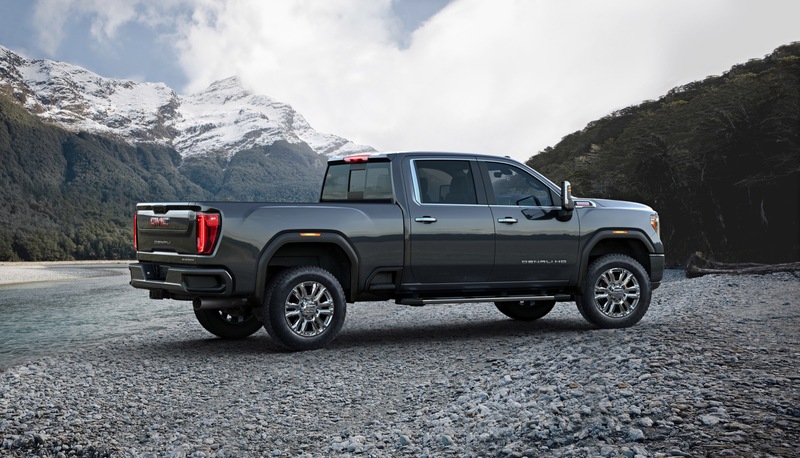 Compared to the current Sierra HD, the all-new 2020 model features a longer wheelbase and an entirely new exterior design with a more dominant hood line and taller overall height. 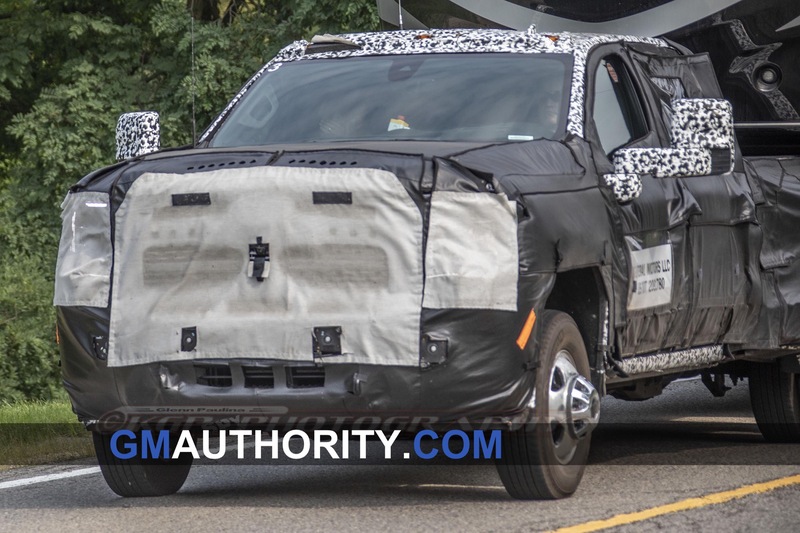 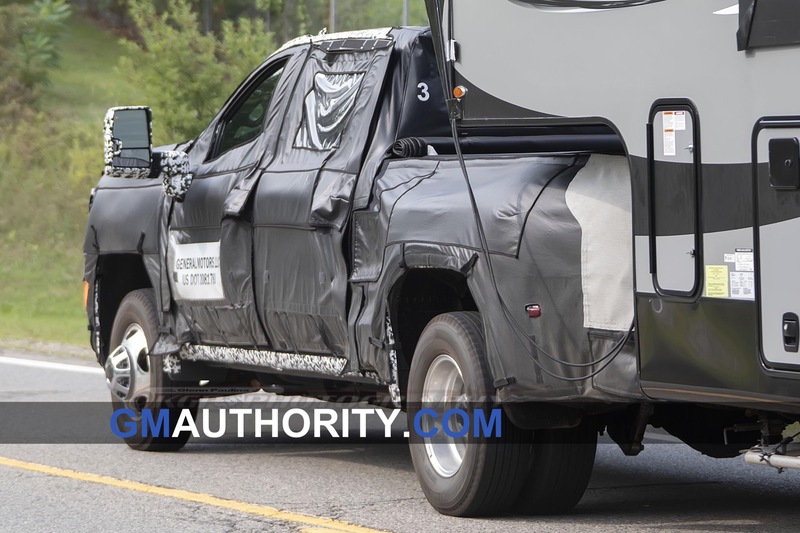 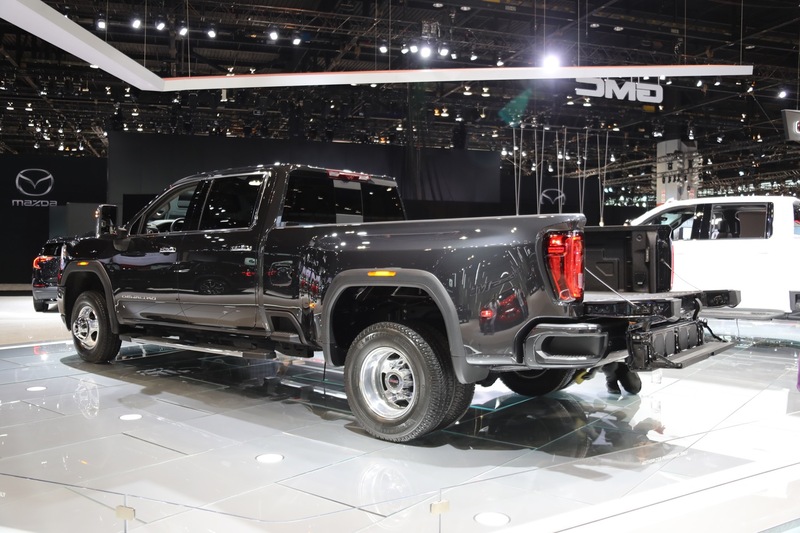 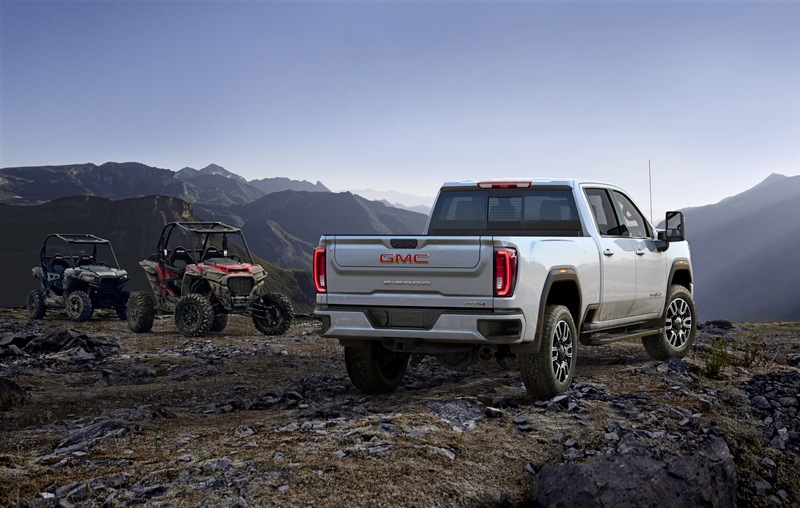 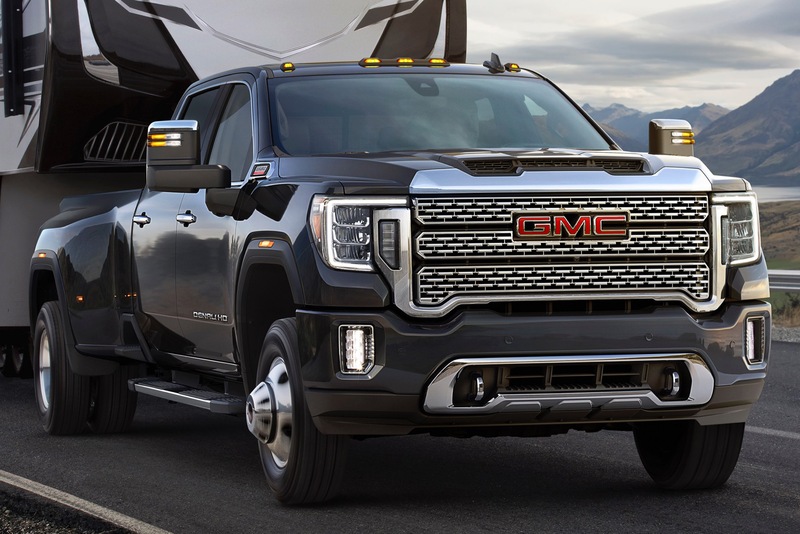 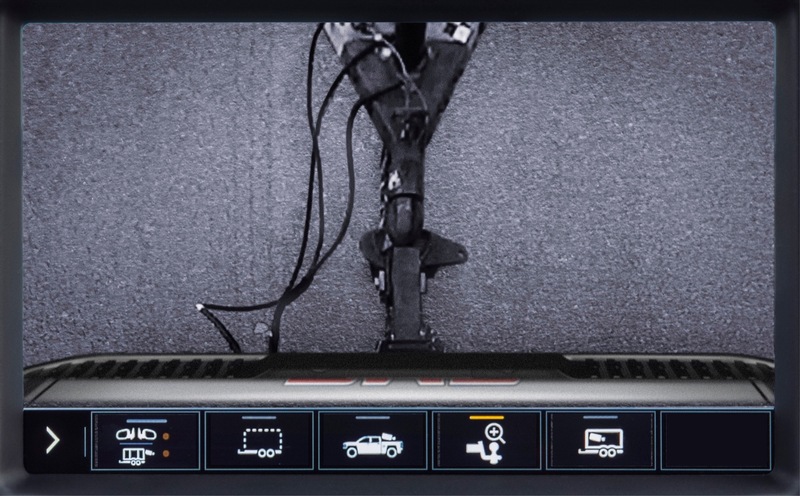 The bigger frame, stronger propulsion systems, and smarter technologies are expected to deliver a dramatically higher towing capacity than the outgoing model, well in excess of 30,000 pounds – according to GMC. 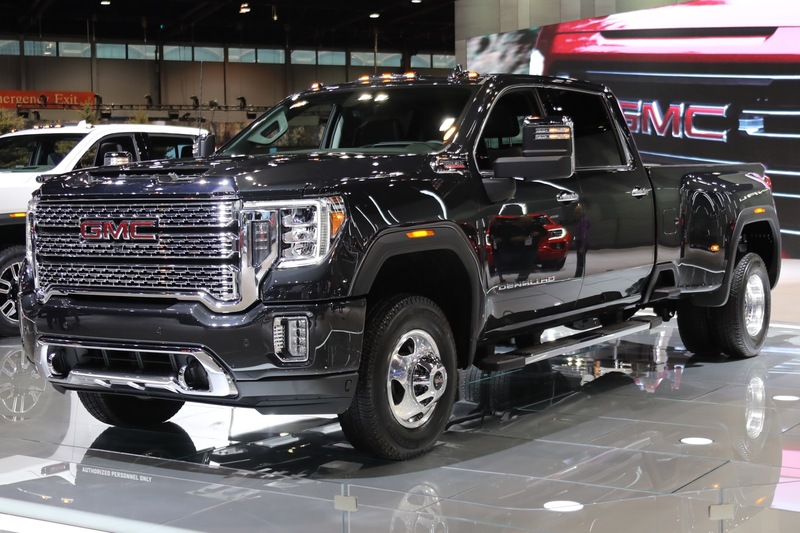 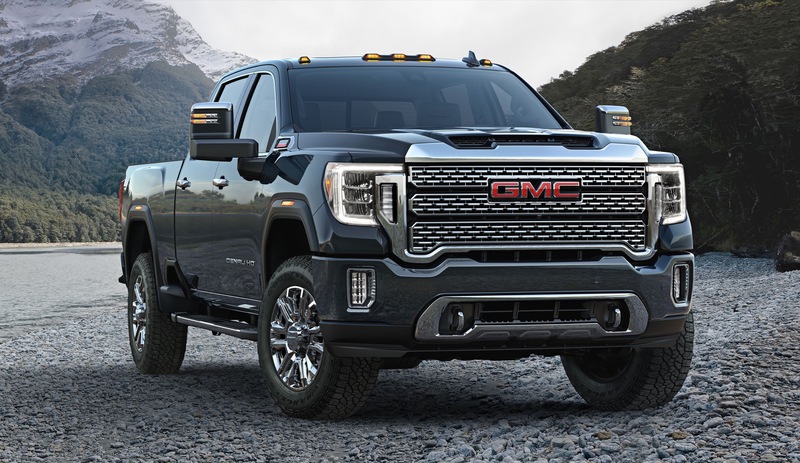 The 2020 Sierra HD demands attention thanks to a commanding, powerful design and visibly larger proportions. 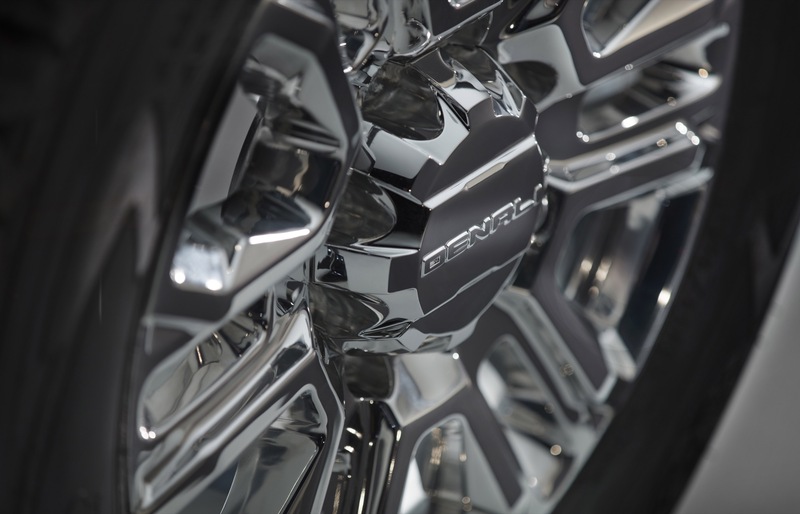 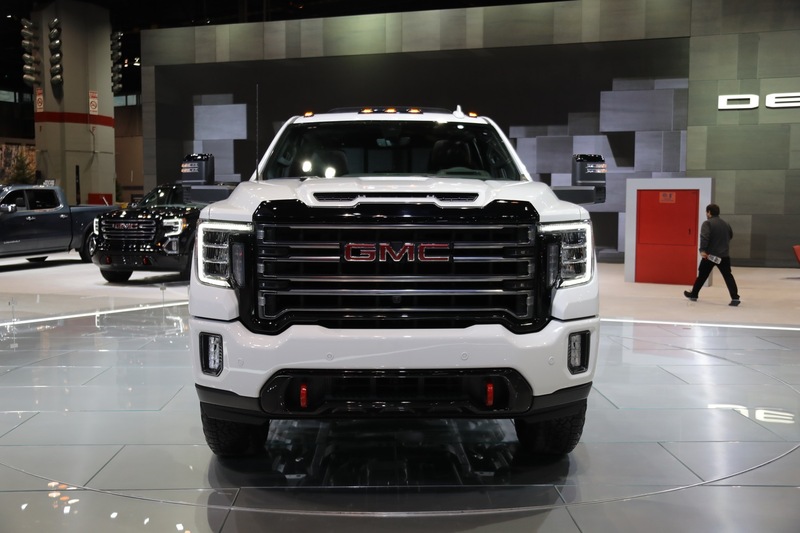 The bold appearance complements a more confident stance and embodies GMC’s focus on refinement, attention to detail, and advanced technologies. 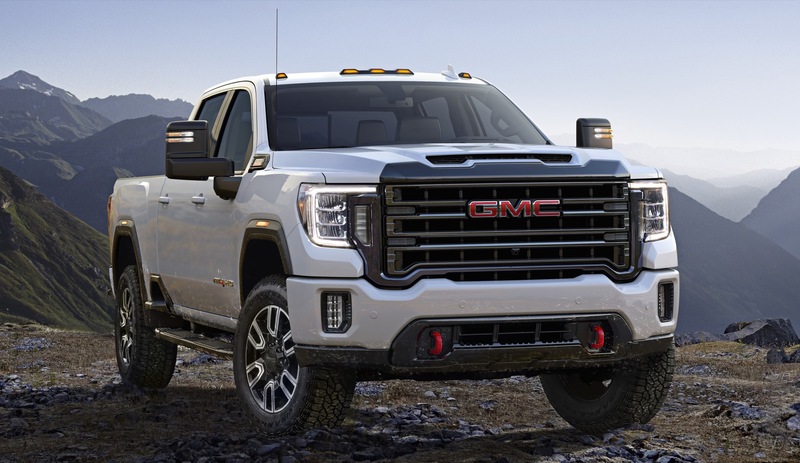 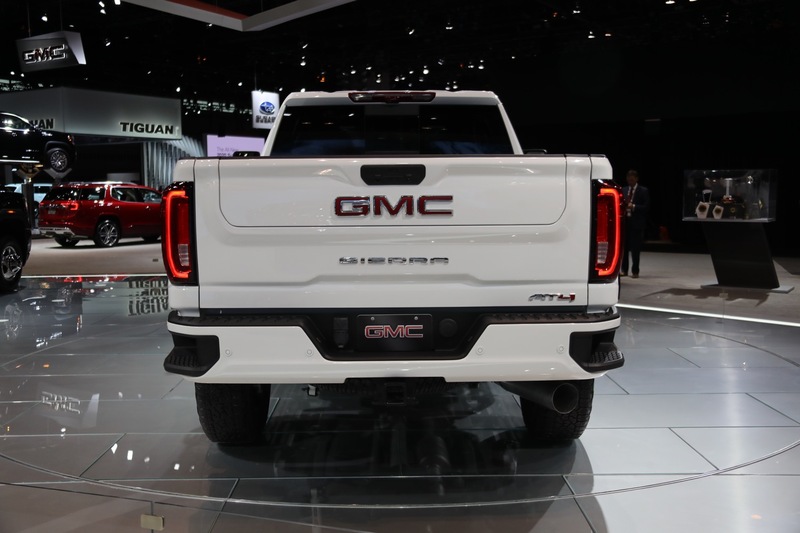 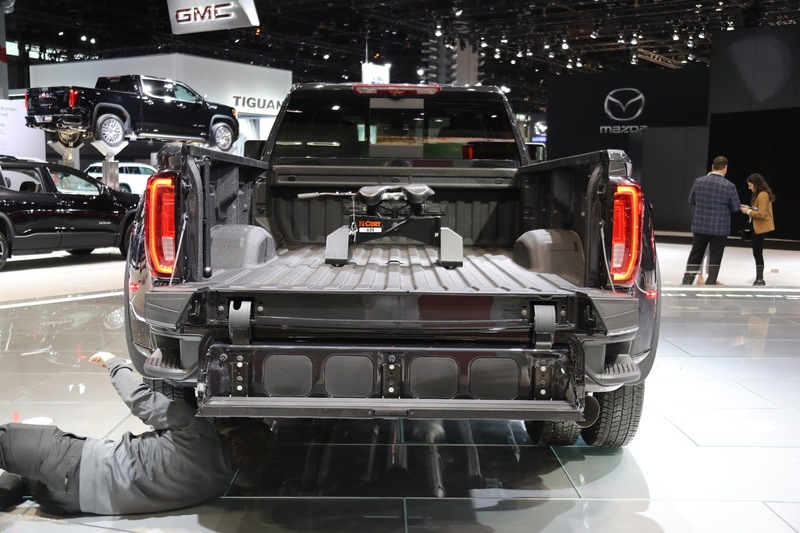 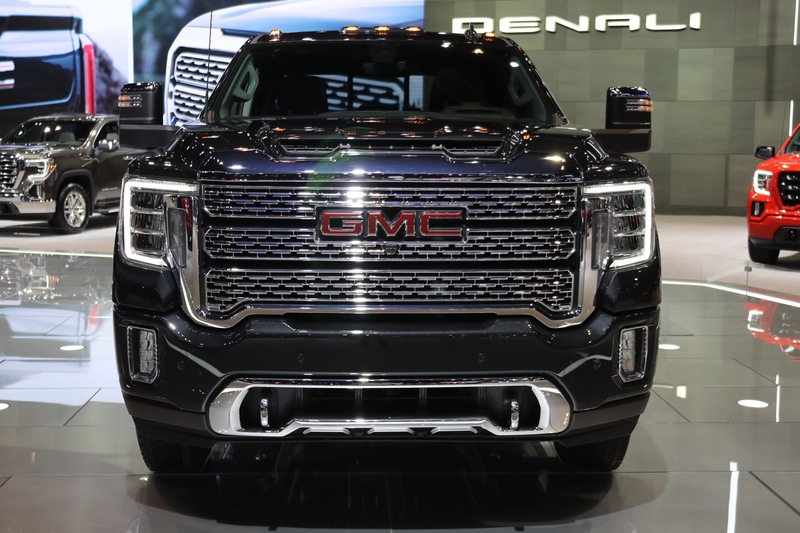 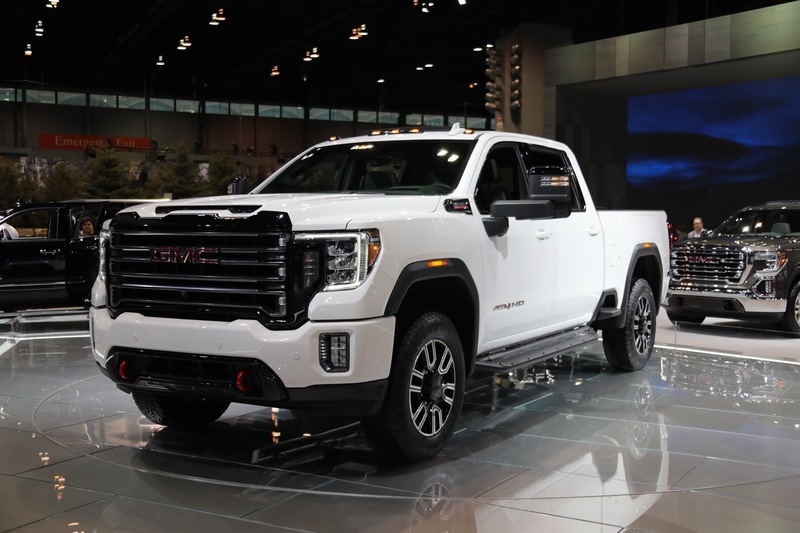 Apart from its size, the all-new 2020 Sierra HD can also be spotted by its prominent, new signature lighting in the form the C-shaped light blades that use bright LED technology to form the Daytime Running Lights (DRLs). 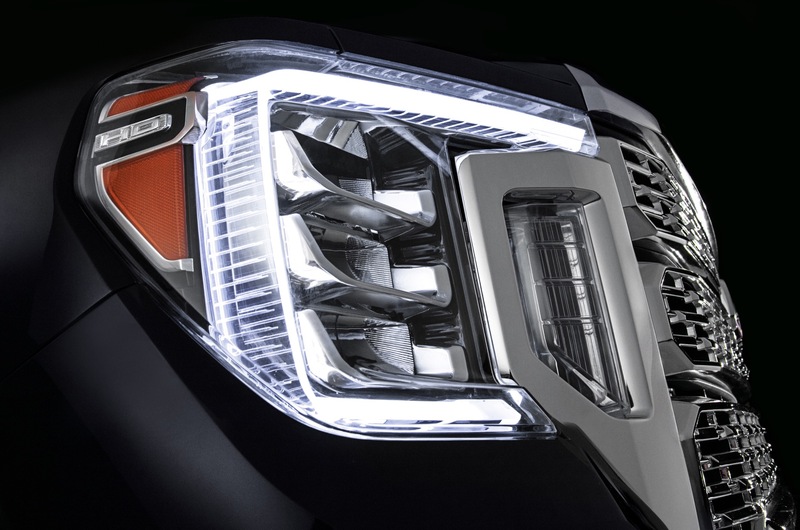 LEDs are also used for all other lighting elements, including primary headlights, taillights, fog lights, and more. 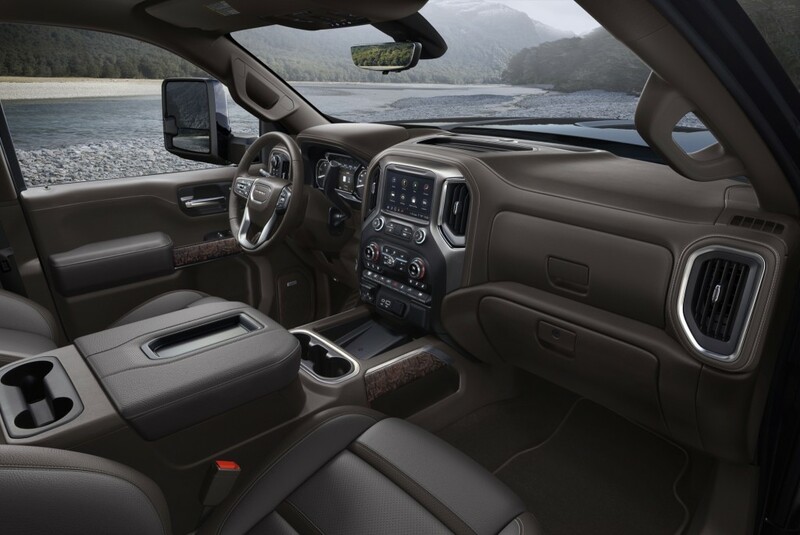 The cabin offers best-in-class maximum headroom and legroom for both the driver and front-row passenger (on the Crew Cab model). 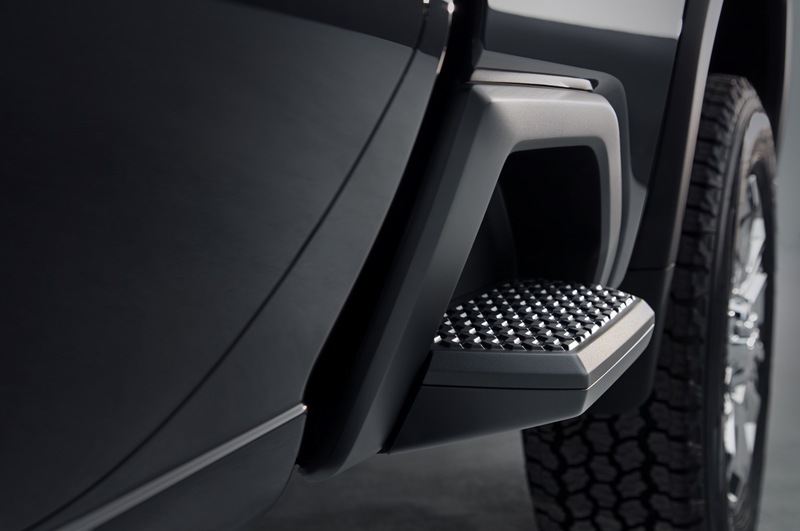 A higher seating position adds to the truck’s overall taller profile to deliver a better view from behind the wheel. 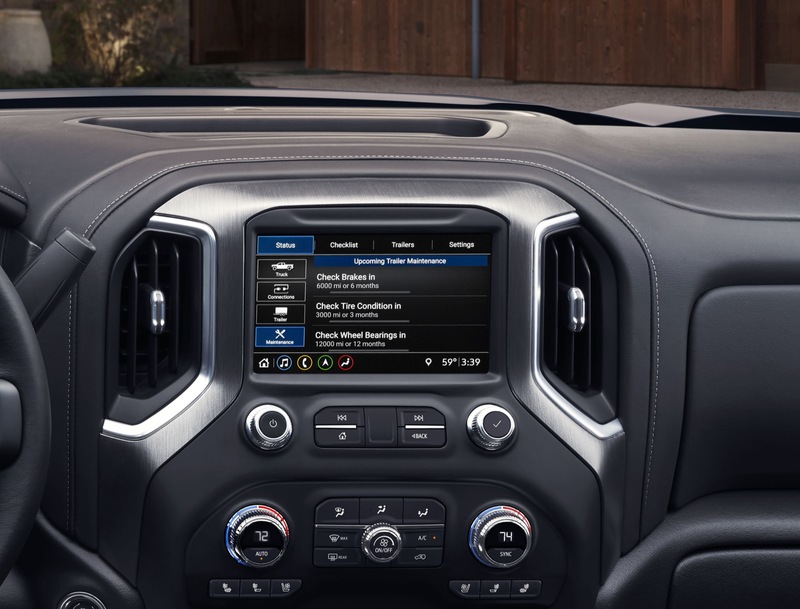 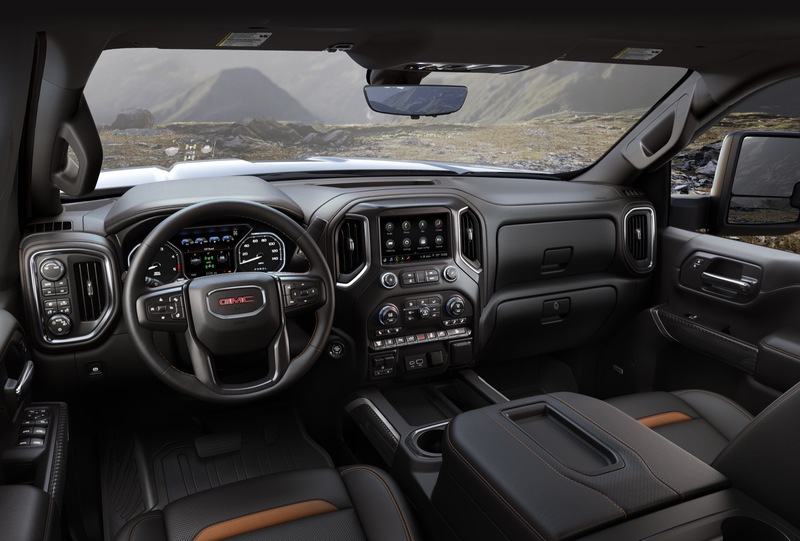 The interior features optimized ergonomics and an intuitive interactive experience with the vehicle’s updated technologies, such as the 15-inch diagonal head-up display (HUD) and the latest GMC touchscreen infotainment system. 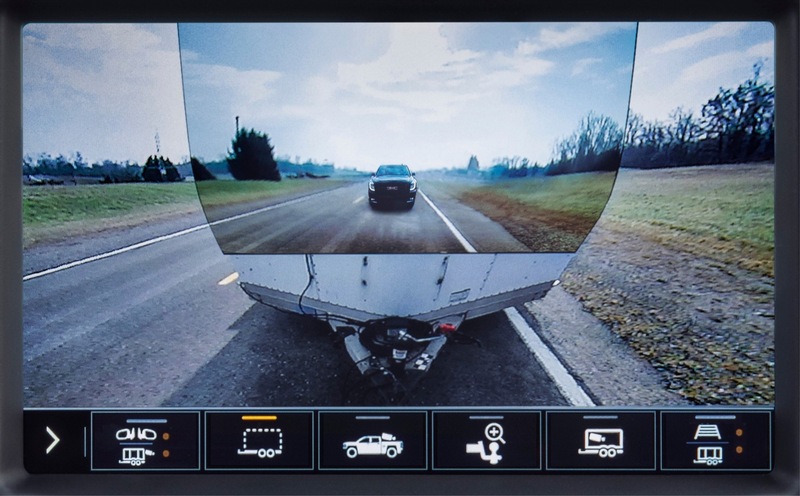 The HUD also offers useful trailering information such as vehicle speed, navigation, and an inclinometer. 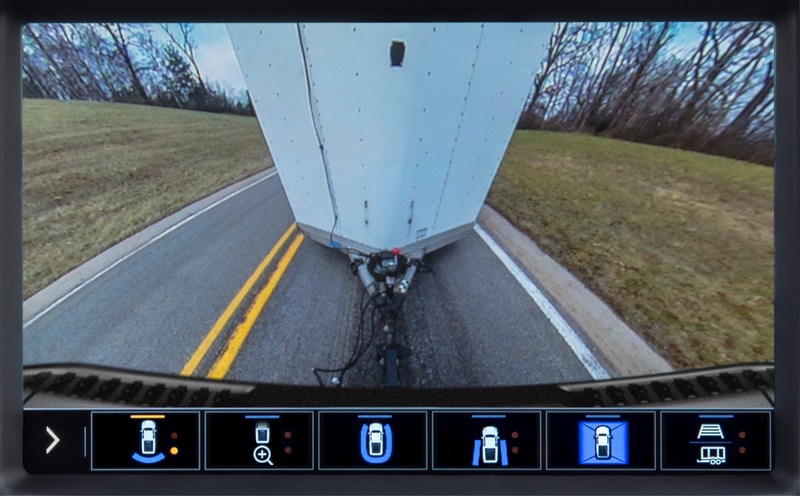 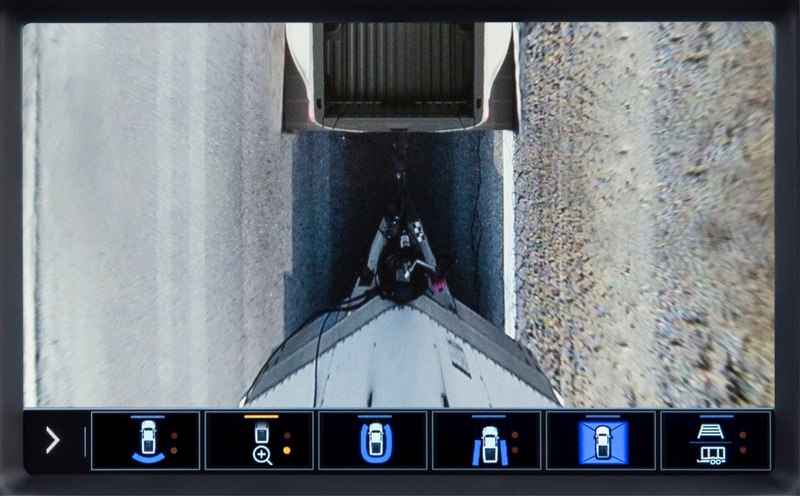 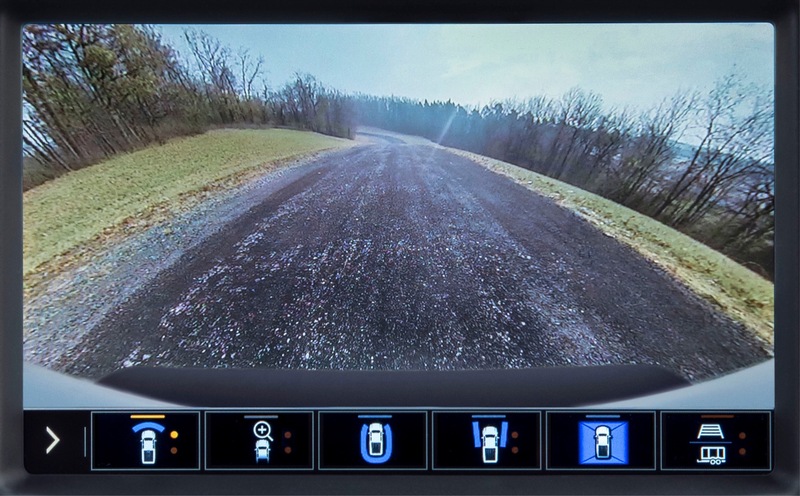 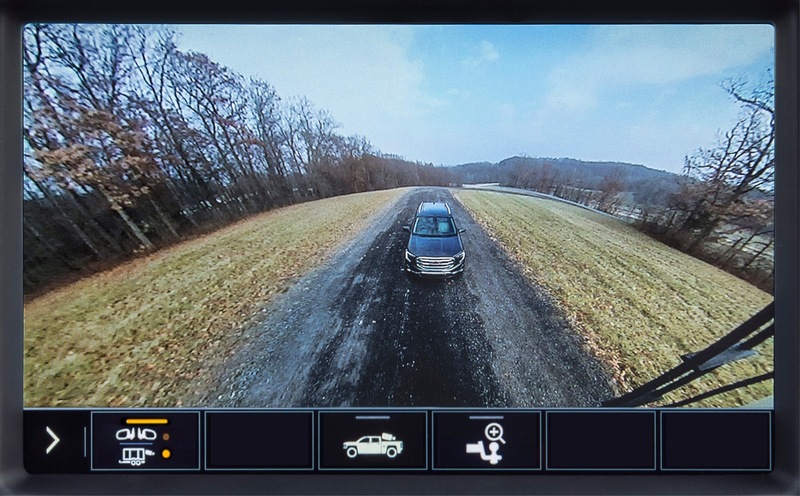 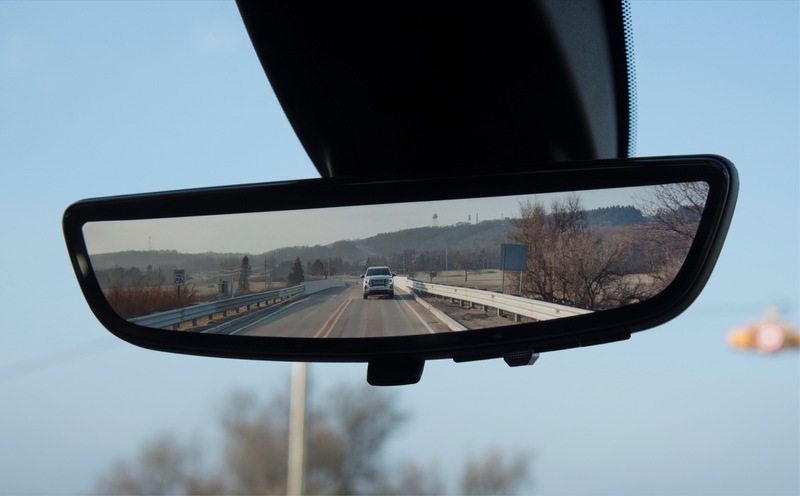 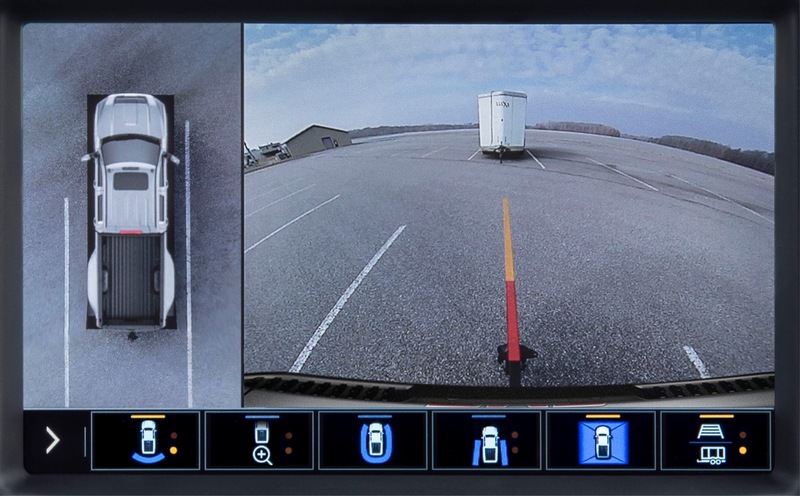 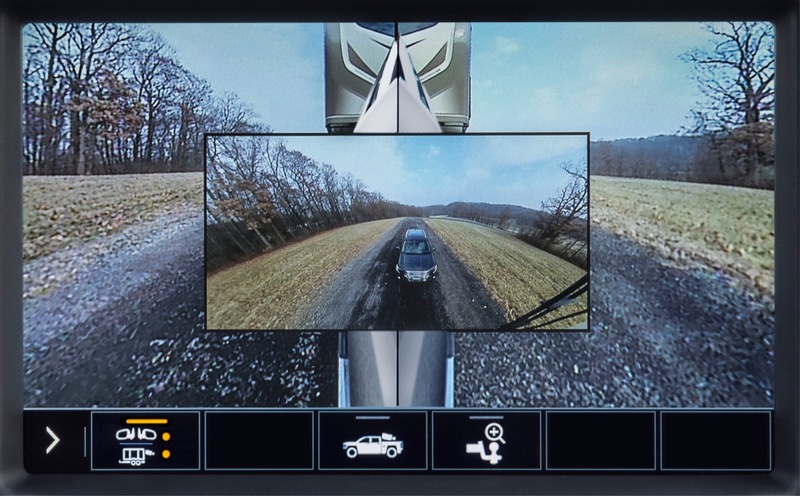 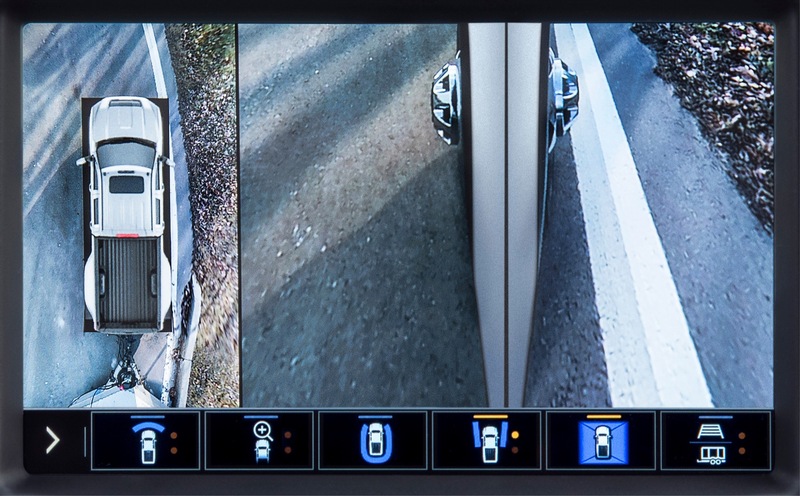 The available Rear Camera Mirror is a segment first. 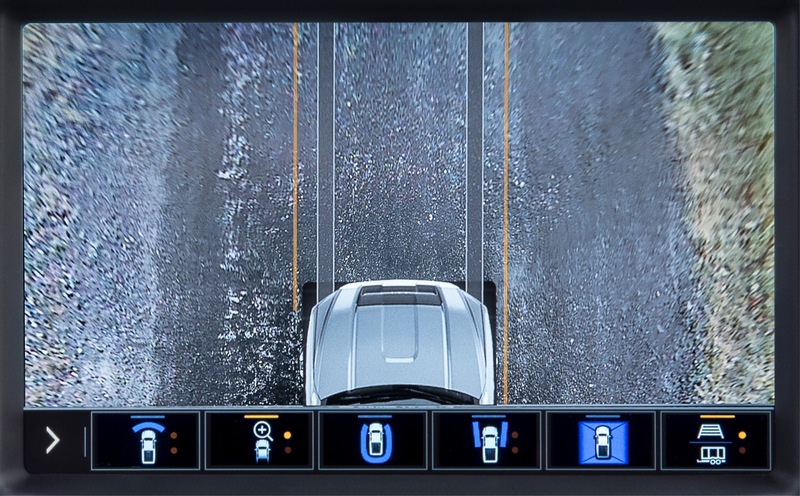 It is part of the 15 camera views, which deliver uncompromised visibility. 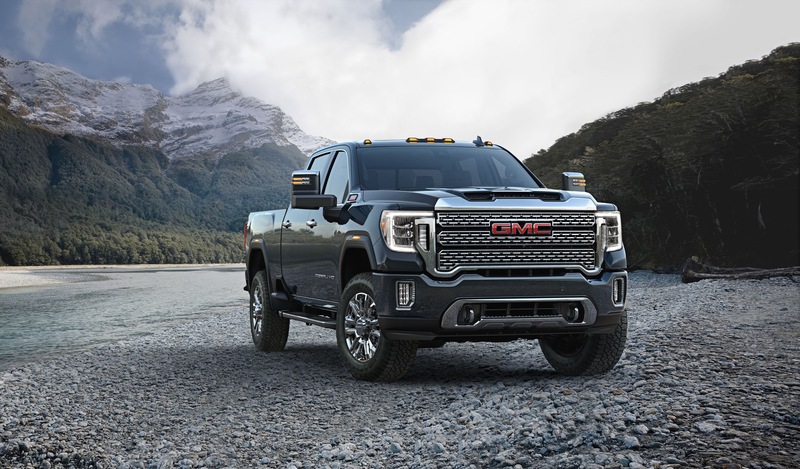 The 2020 Sierra HD will be powered by a choice of two engines: an all-new, gasoline engine that will serve as the standard/base powerplant. 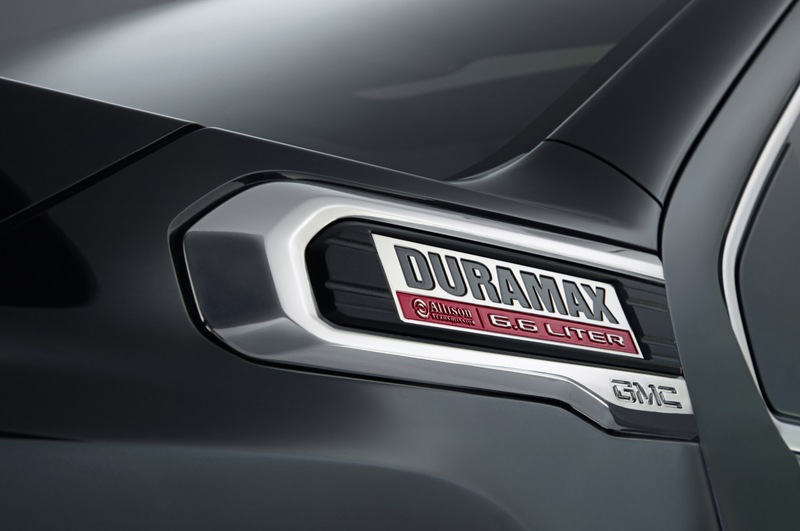 Details of this engine have not yet been announced. 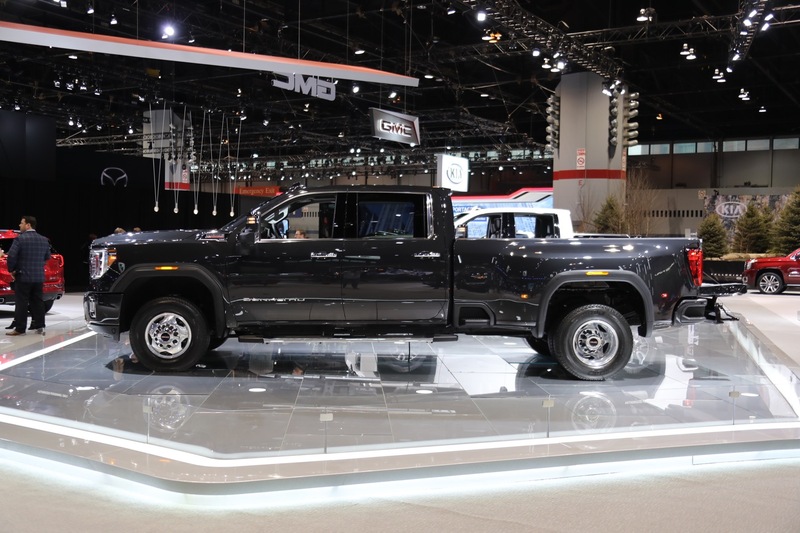 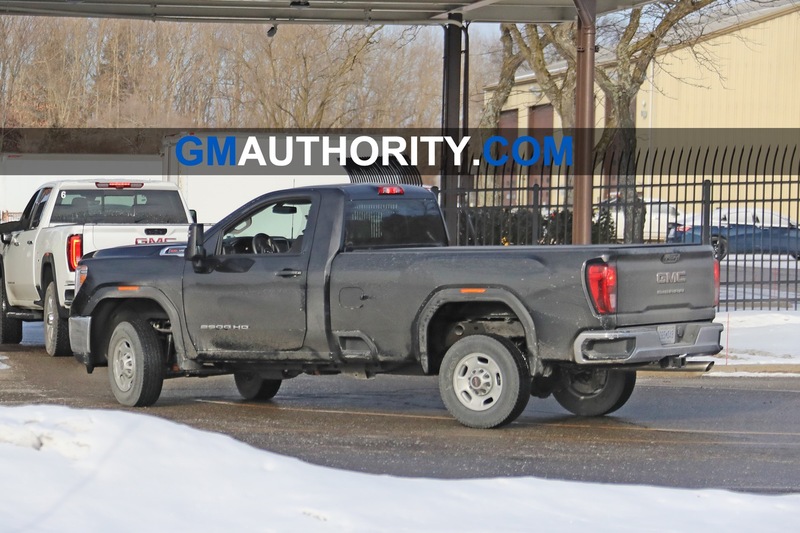 The 6.6L V8 Duramax L5P turbo-diesel will remain the optional, up-level engine. 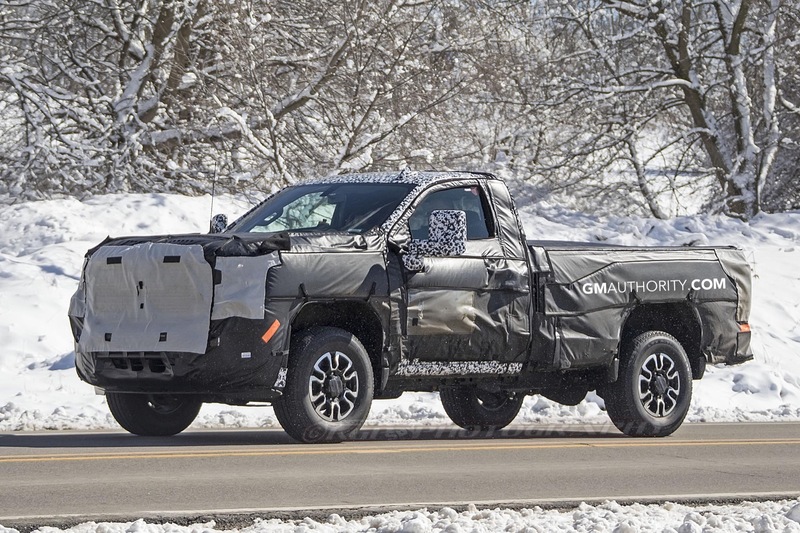 It will be mated to an all-new 10-speed Allison automatic transmission (that’s not not entirely an Allison). 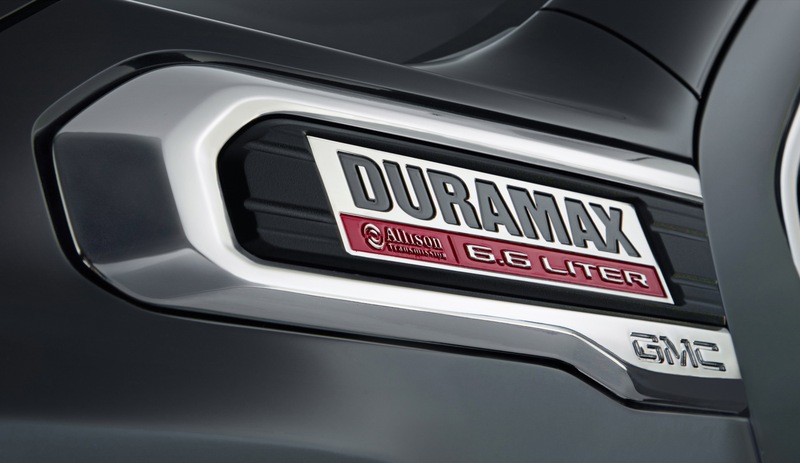 The 6.6L V8 L5P engine delivers 445 horsepower and 910 pound-feet of torque. 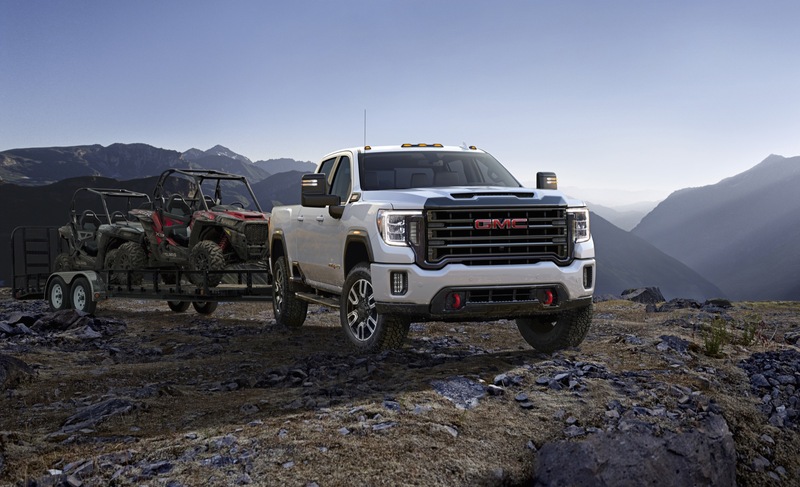 This powerful pairing performs at an even higher level due to increased cooling capacity made possible by improved air induction via the prominent hood scoop and larger front grille. 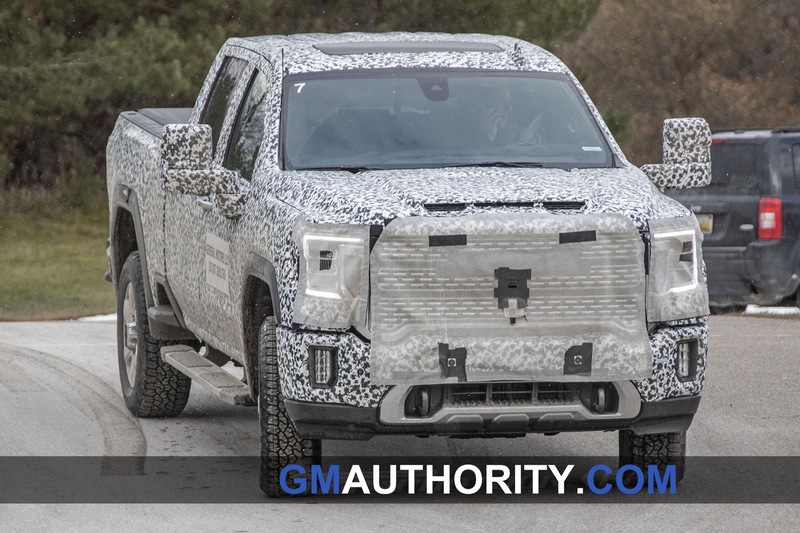 Pricing information will become available closer to the date of production. 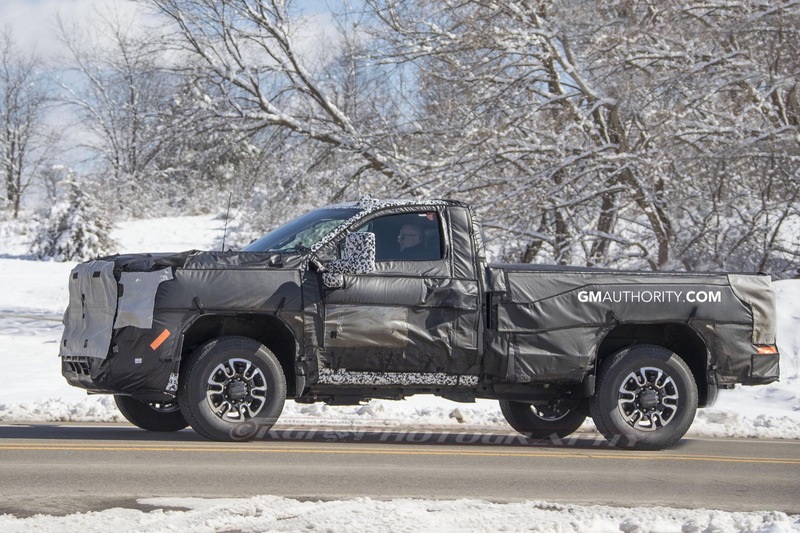 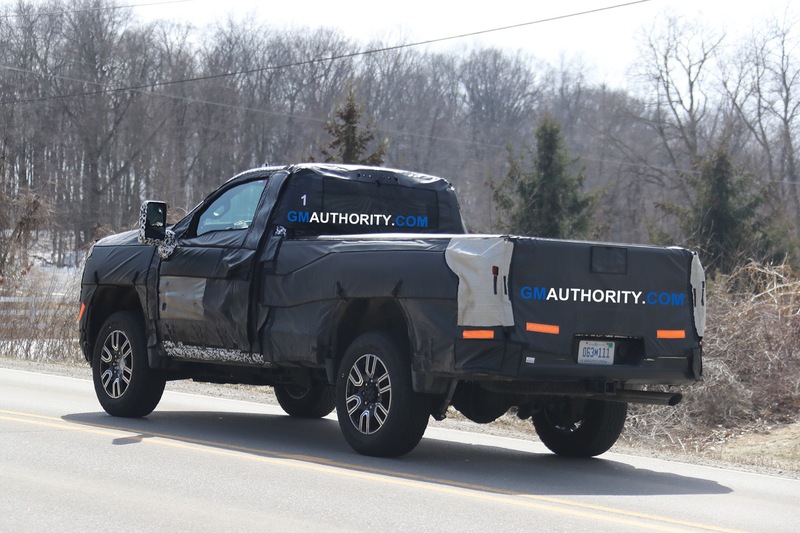 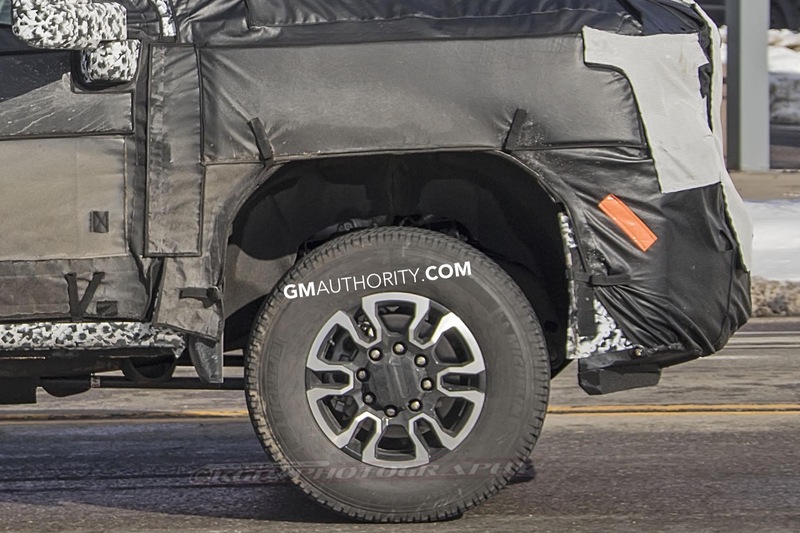 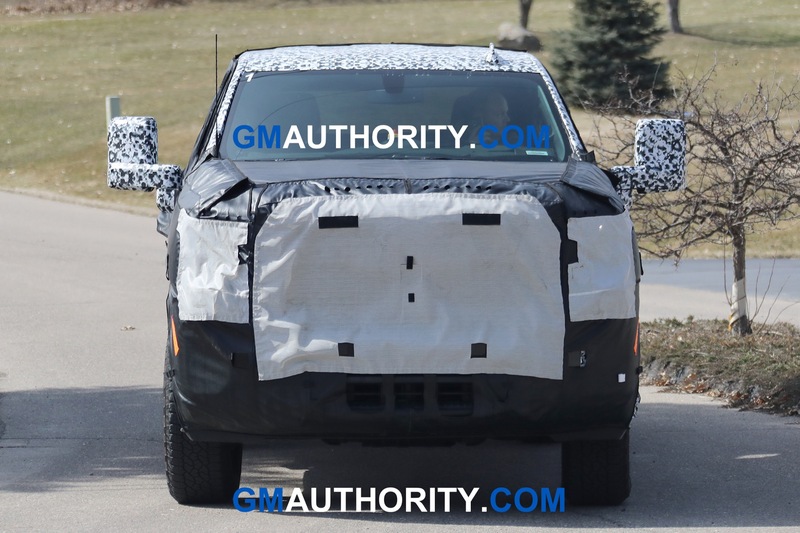 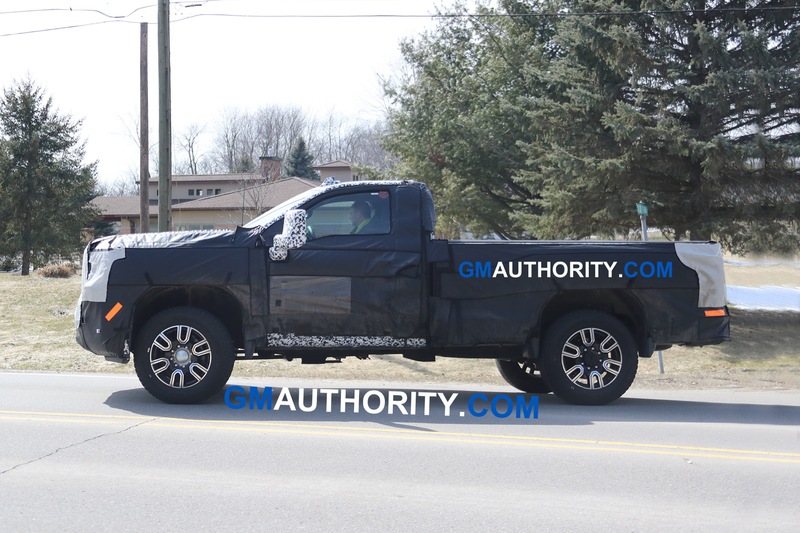 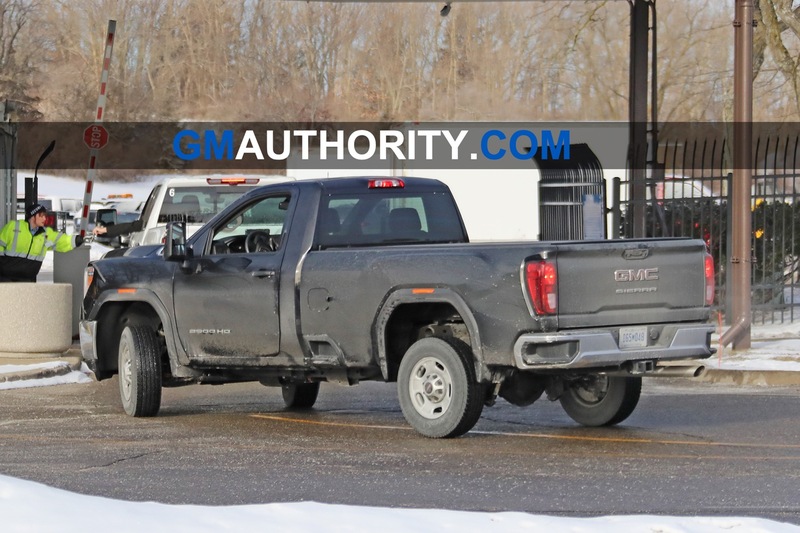 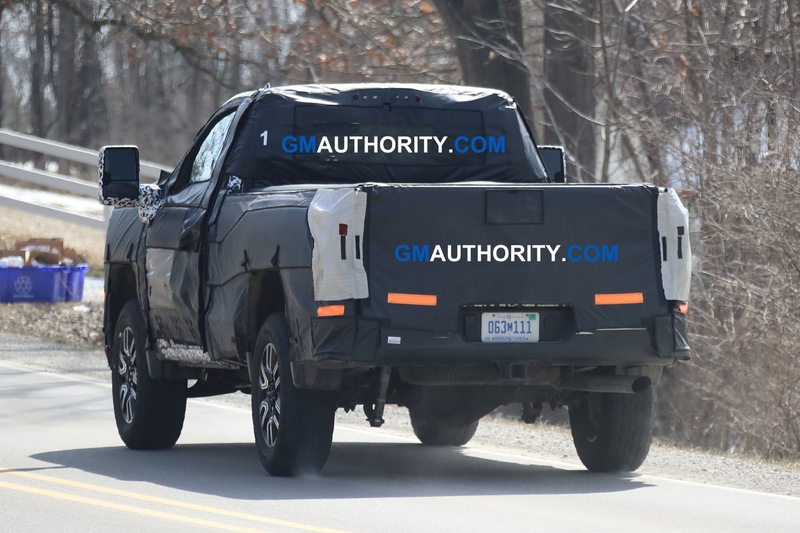 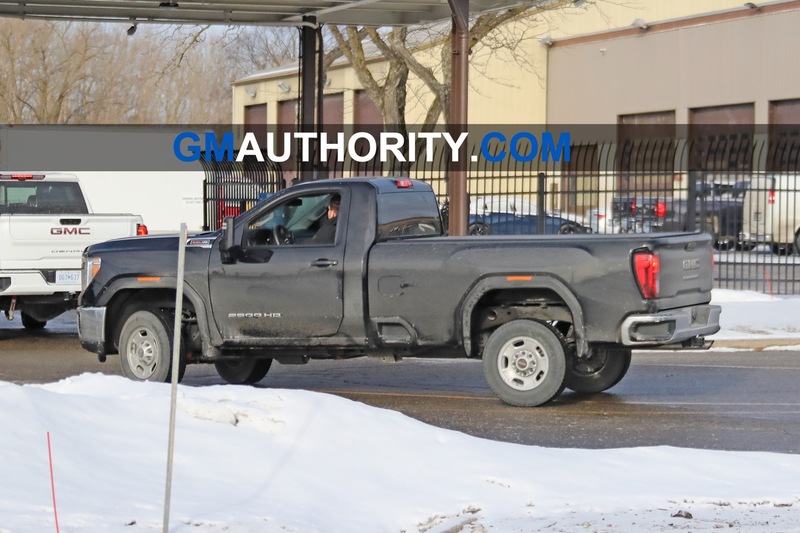 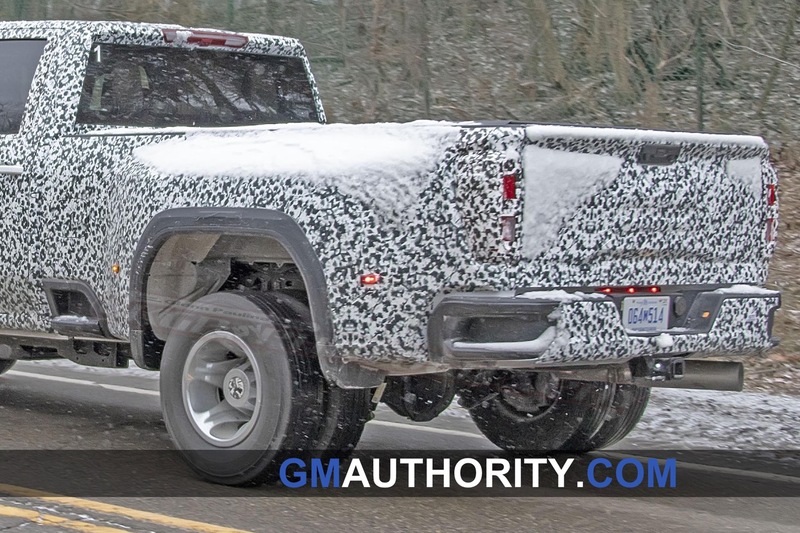 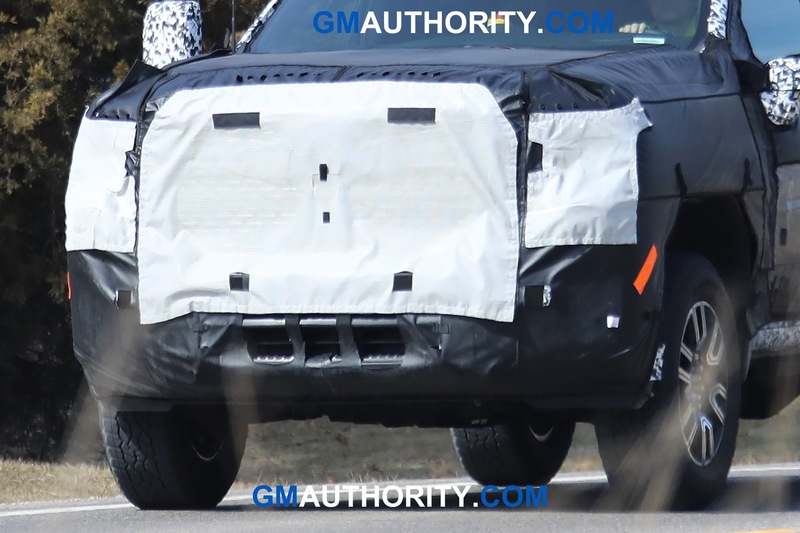 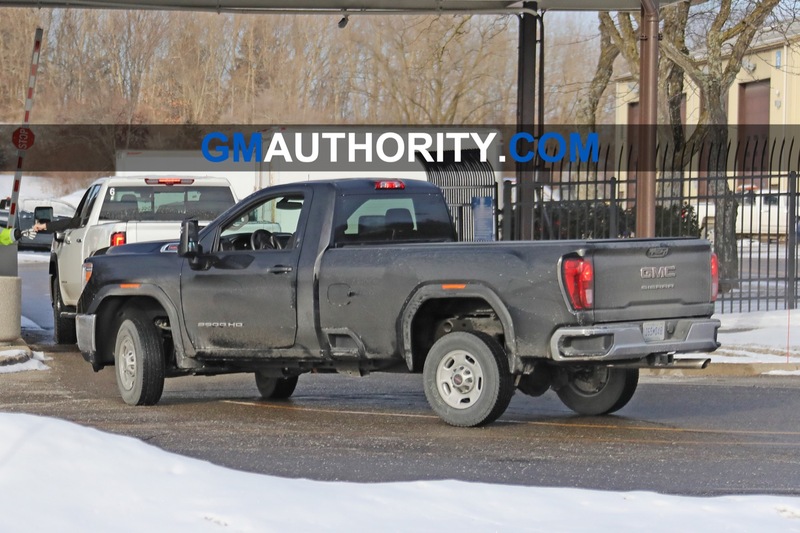 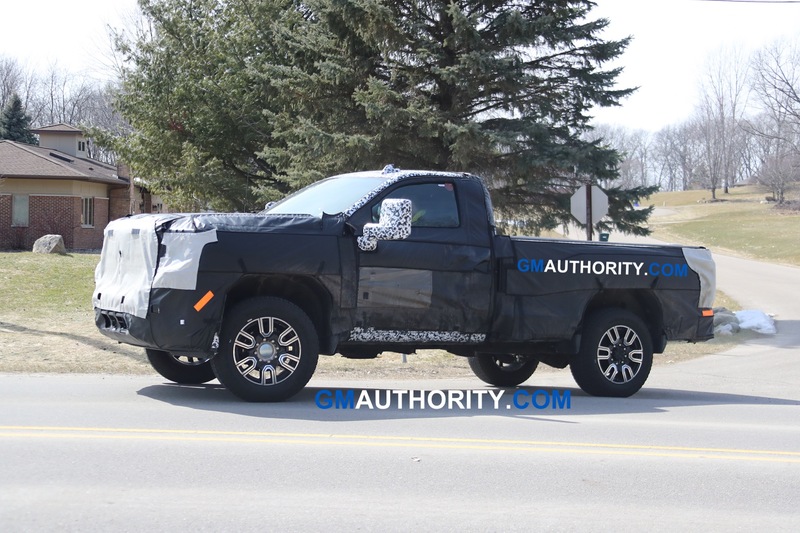 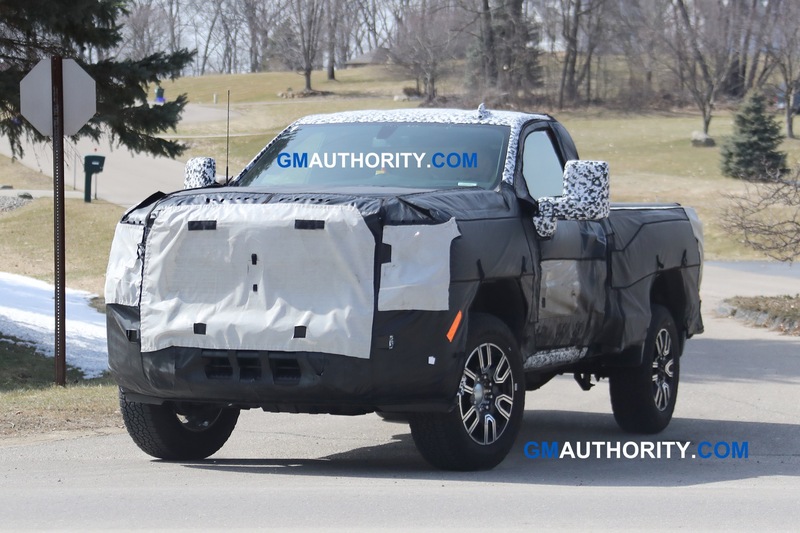 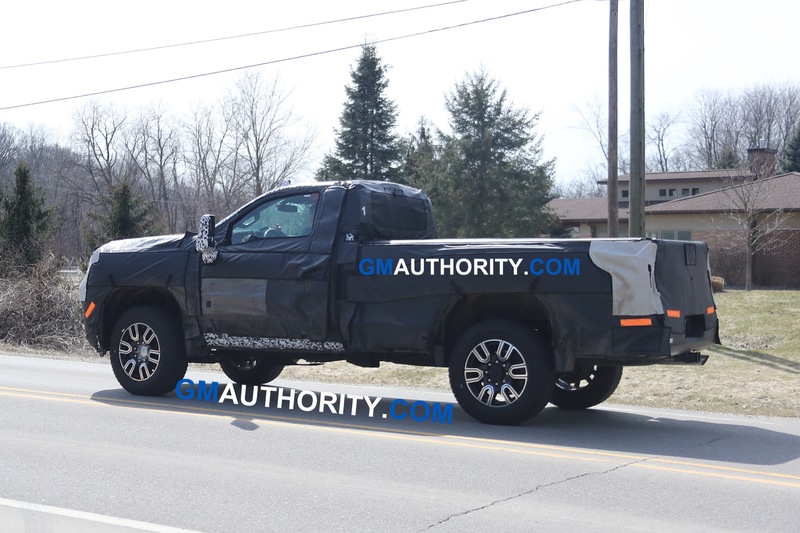 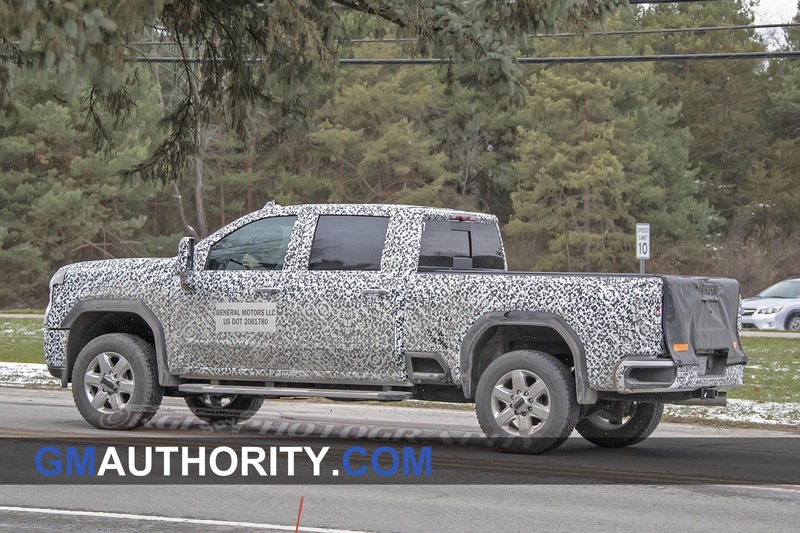 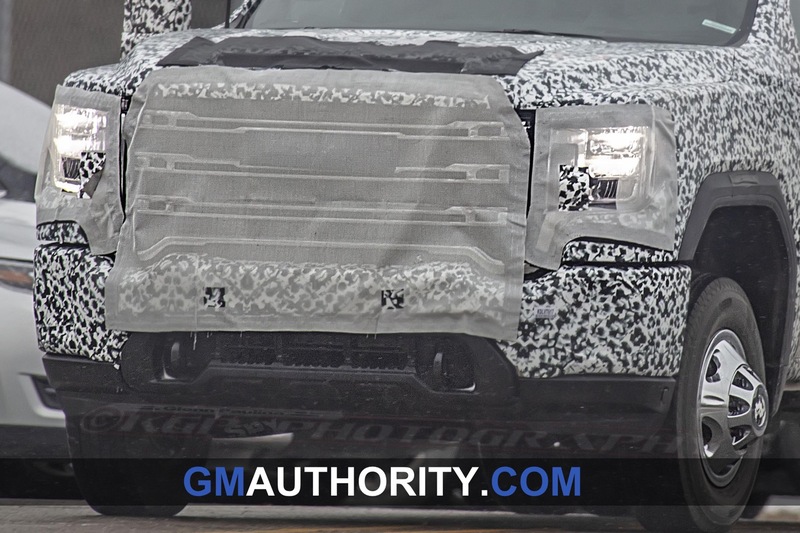 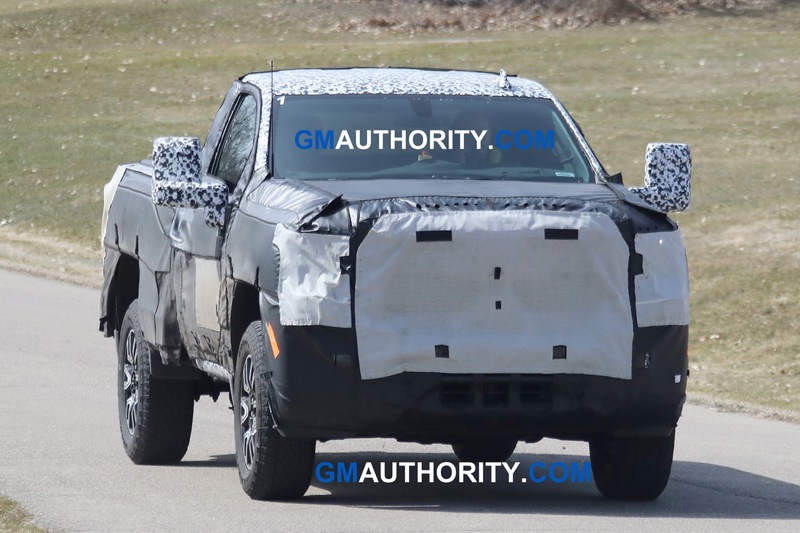 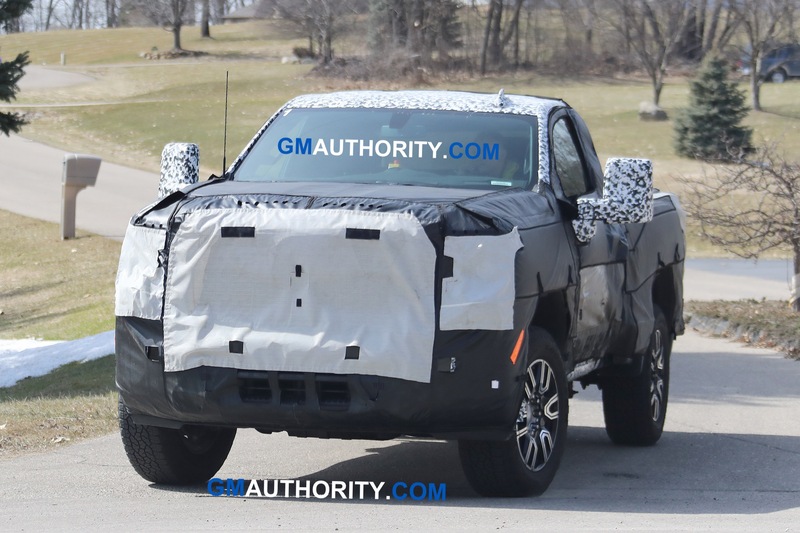 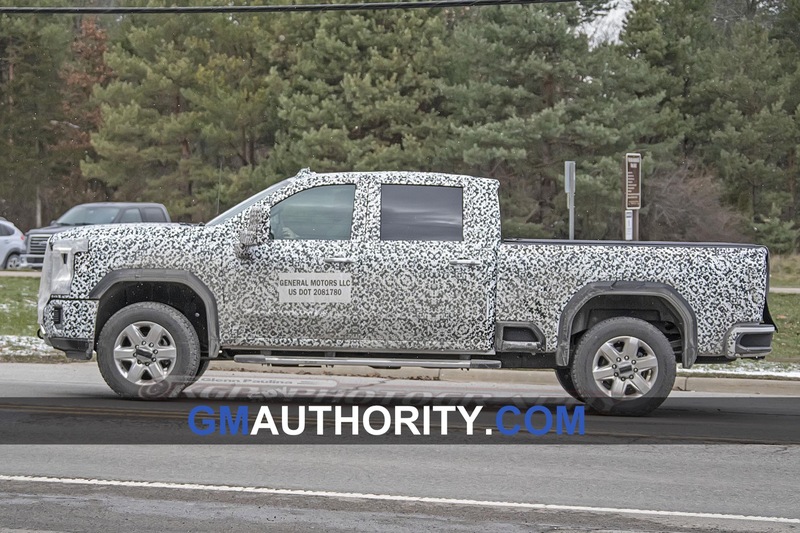 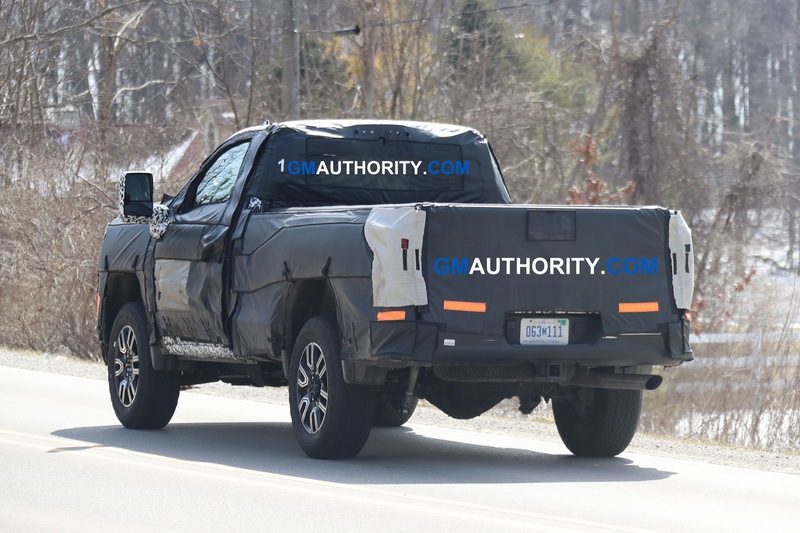 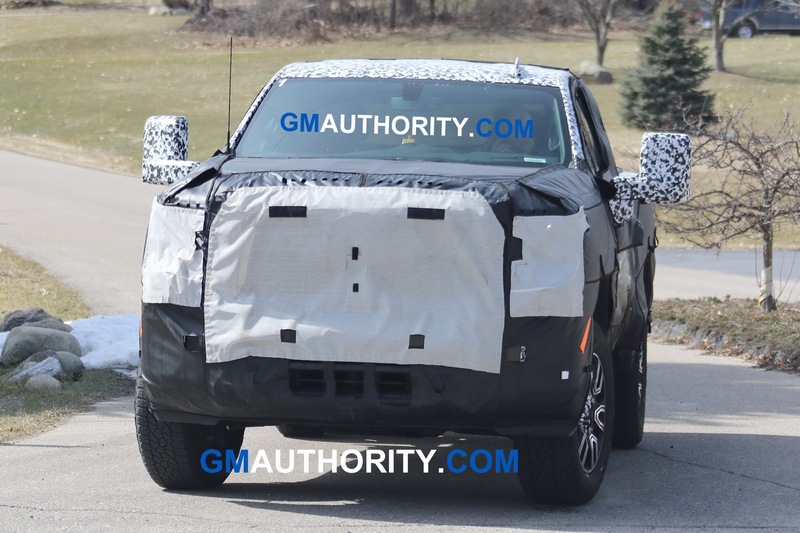 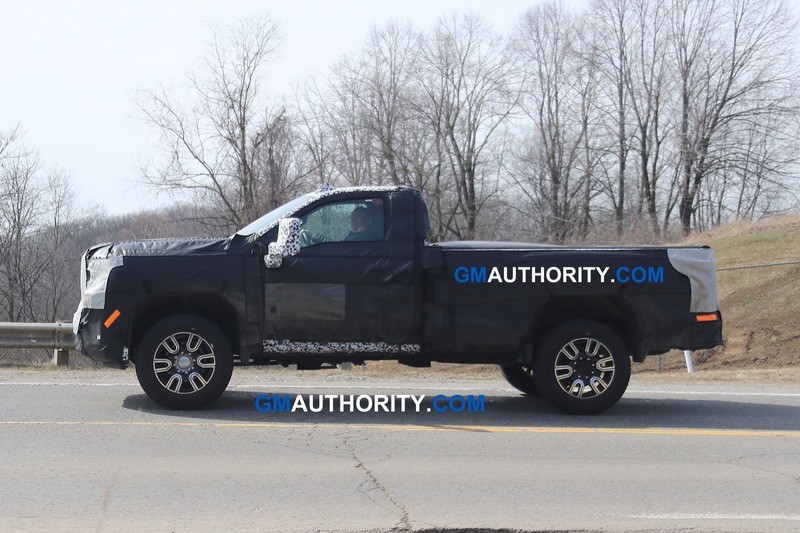 We will keep you updated as more details roll in, so be sure to stay tuned to GM Authority for more GMC news, Sierra news, and Sierra HD news coverage. 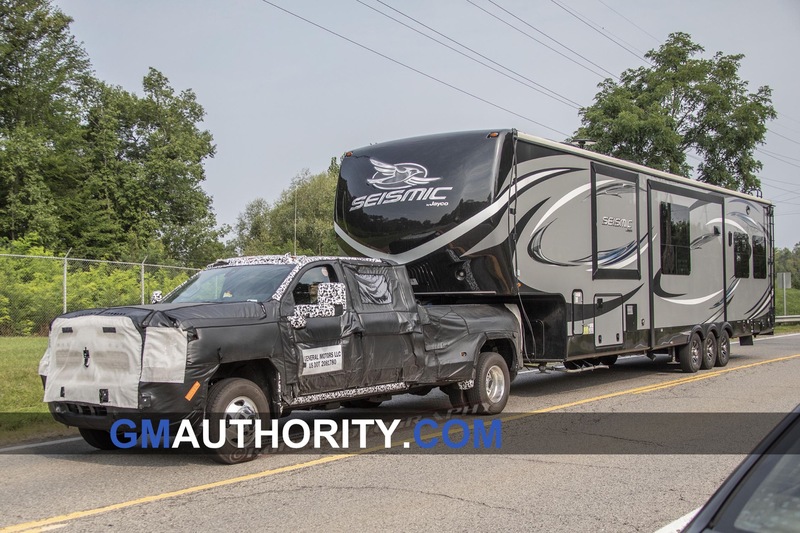 These towing videos are so meaningless. 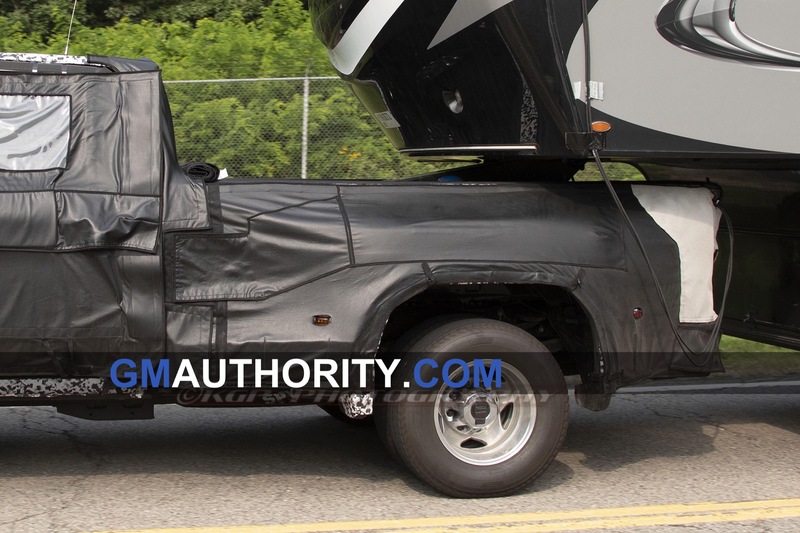 Be it boats, trains or space shuttles it means nothing. 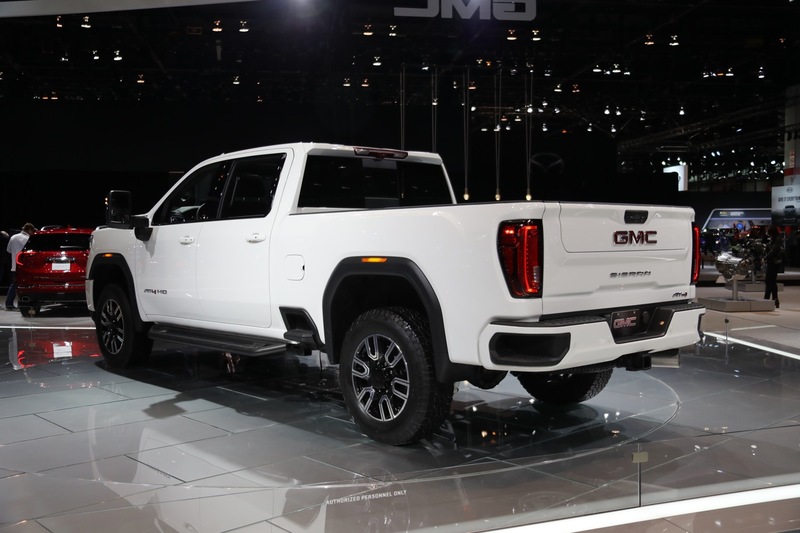 GMC you can do better than this gimmick. 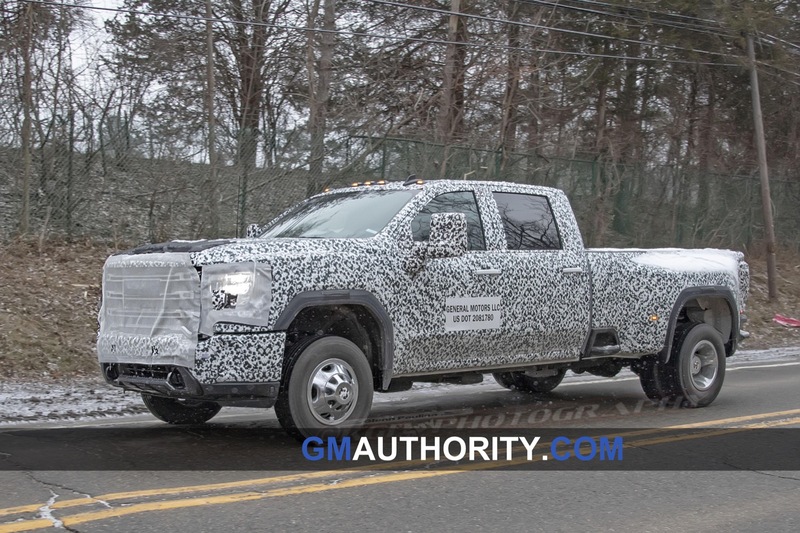 Leave this slight of truck stuff to a Ram, Ford and Toyota. 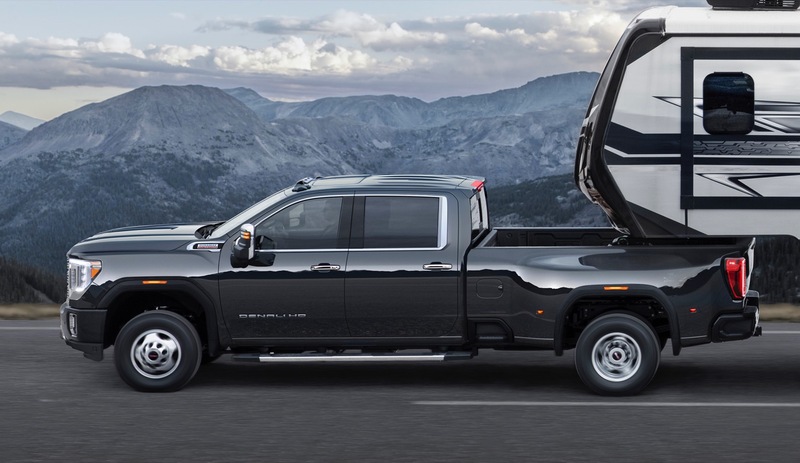 The Tailgate commercials were great keep that up pointing out the differences. 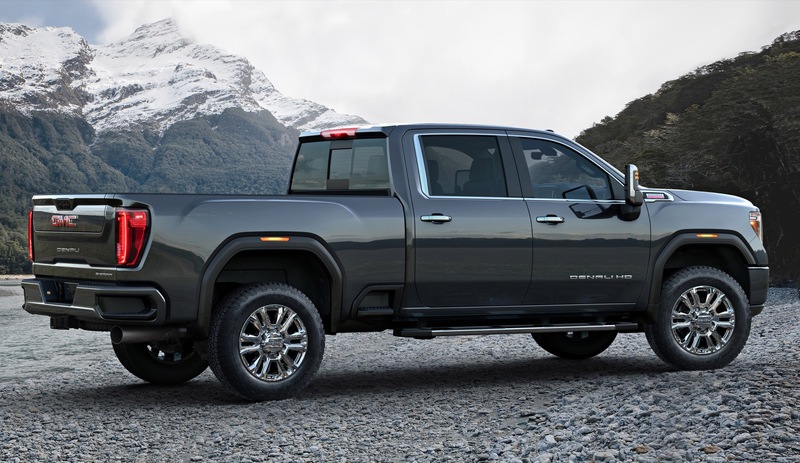 What a silly way to be promoting a new truck. 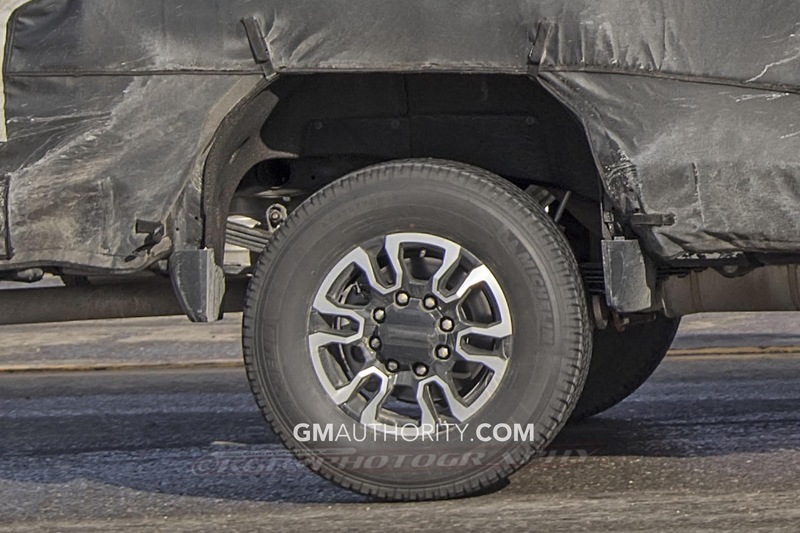 The volt could pull this thing on wheels. 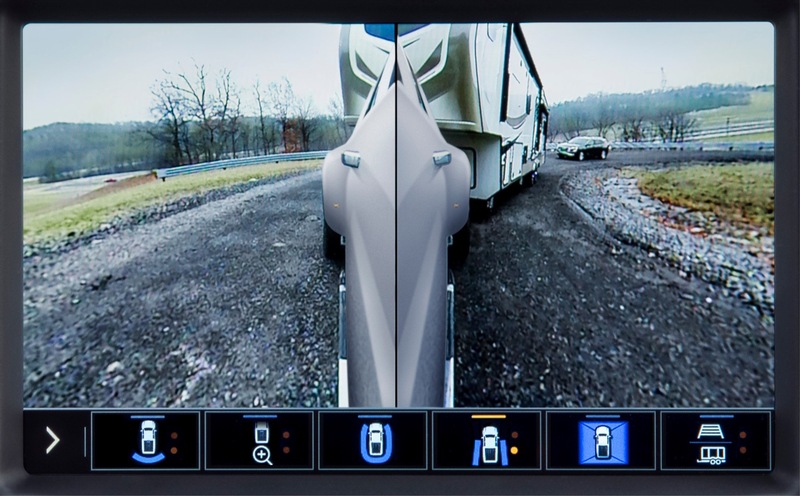 Take it up the Ike Gauntlet with a 32000 lb trailer and see what it does if you want to impress serious truck guys. 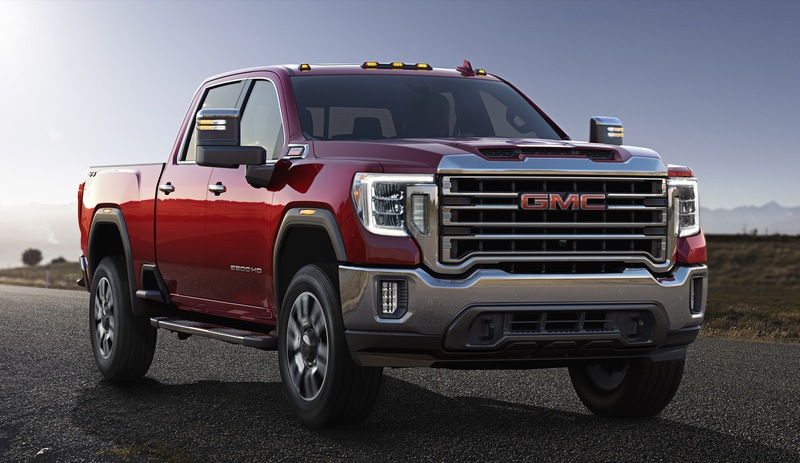 What is the difference between the 10 speed(not an allison) and the 10 speed in the half ton?